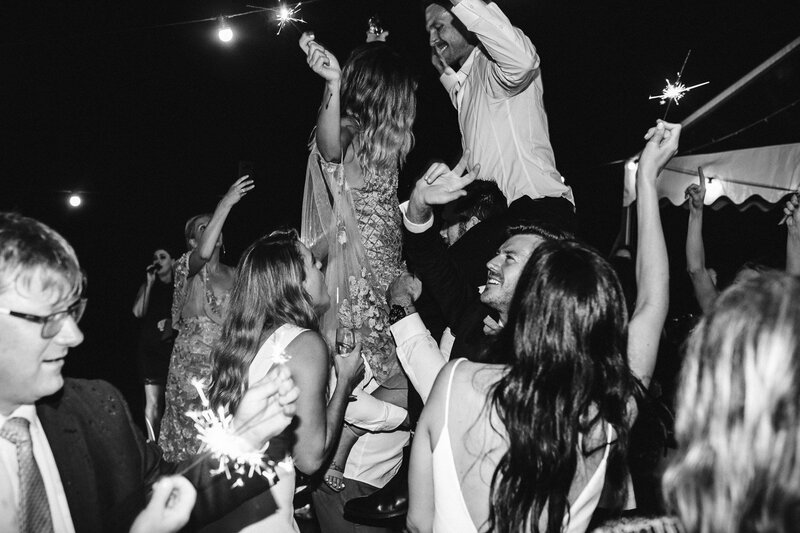 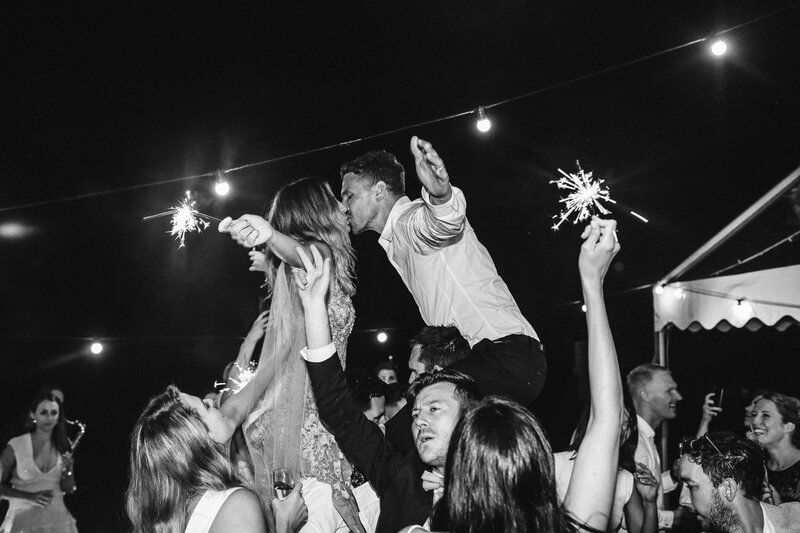 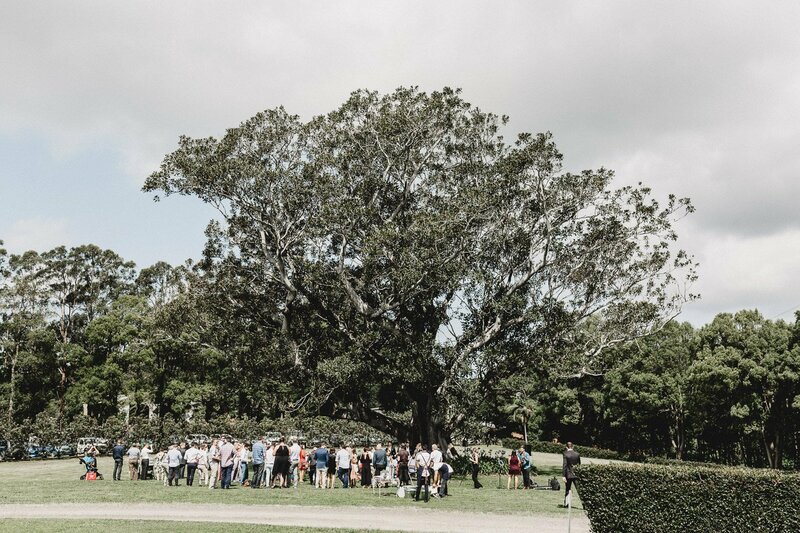 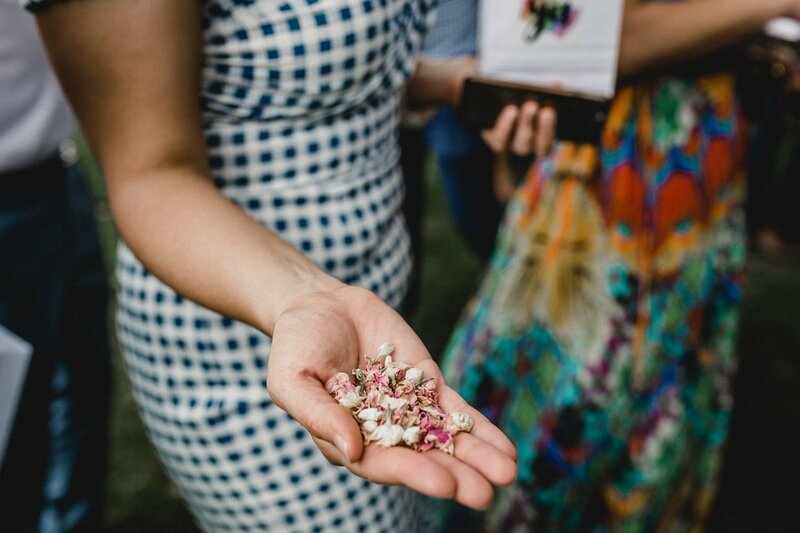 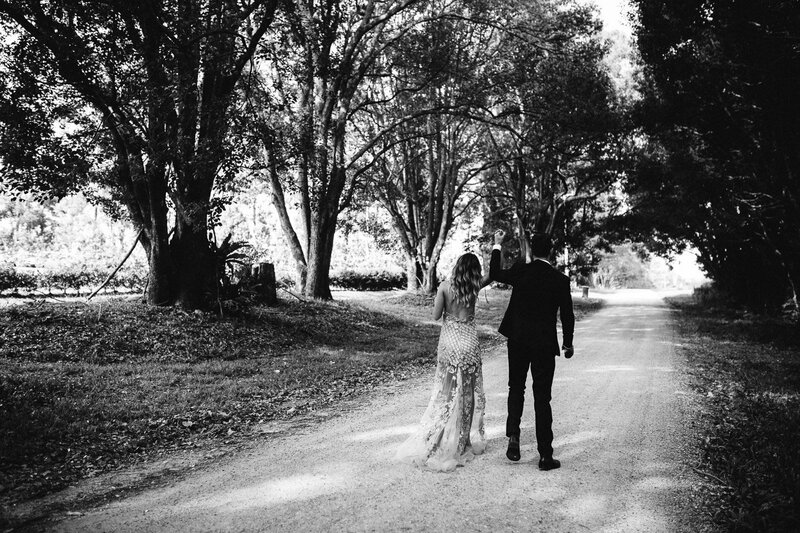 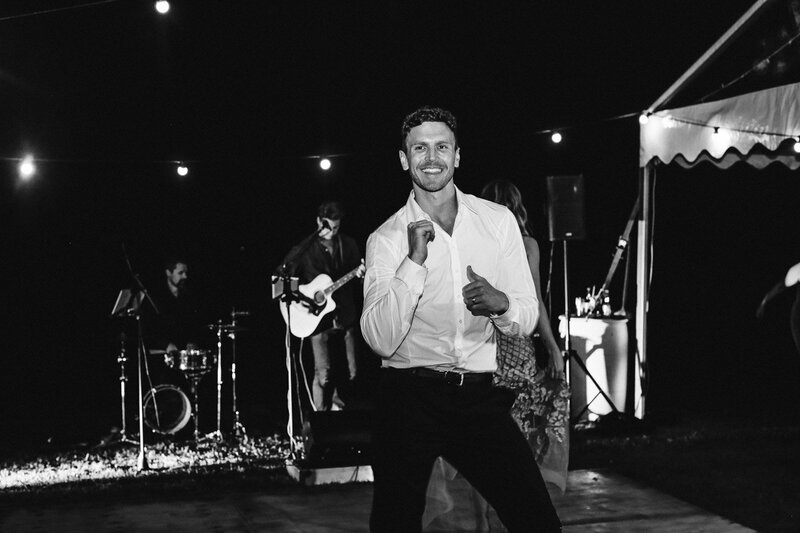 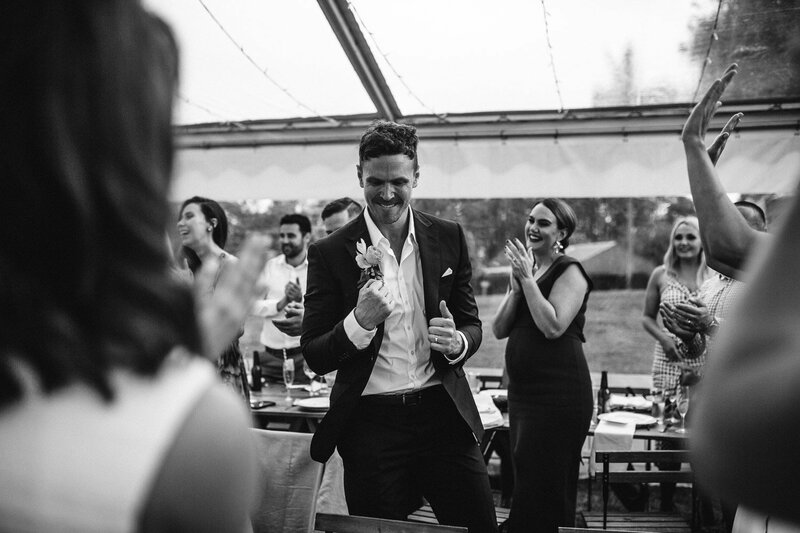 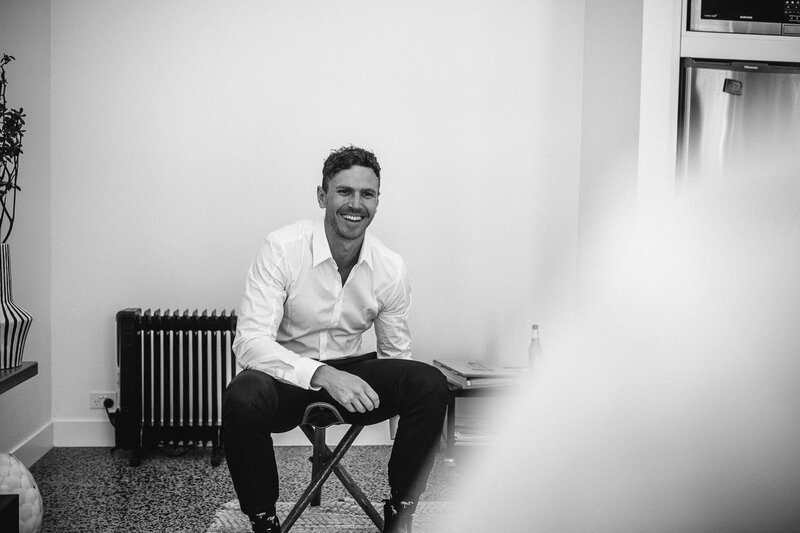 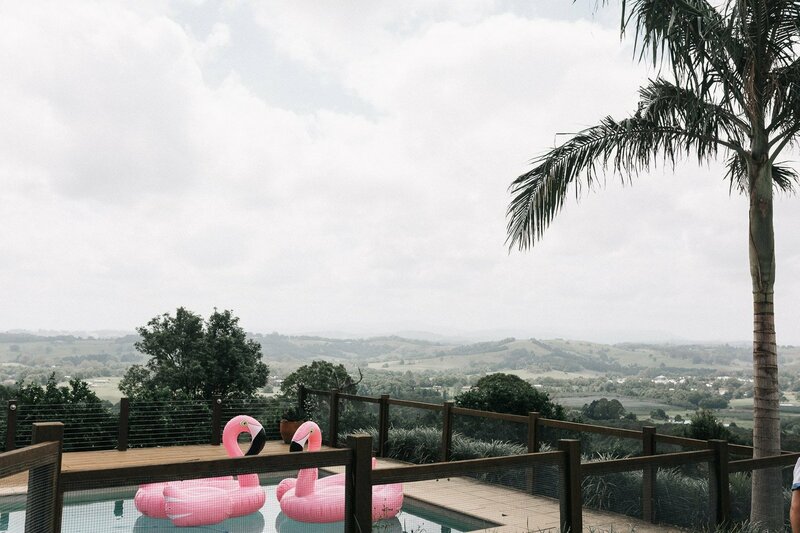 Melbourne couple Christy and Troy came to me with plans to create their dream elopement, in Byron Bay! 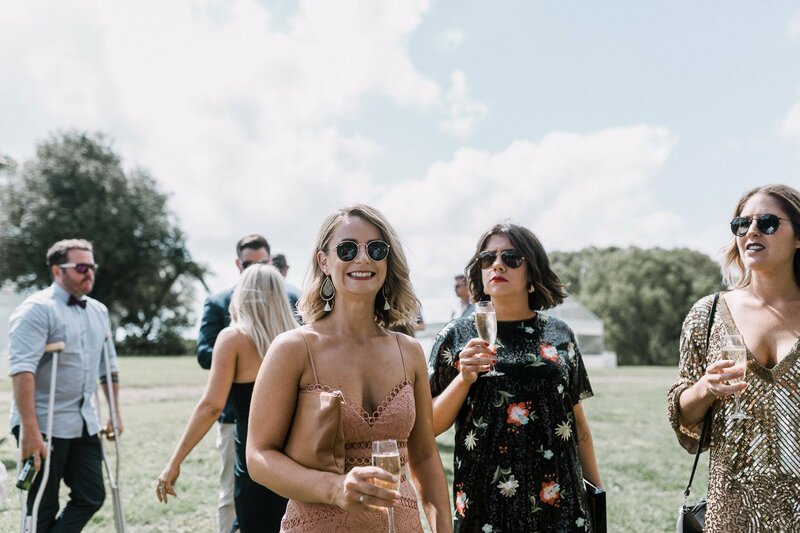 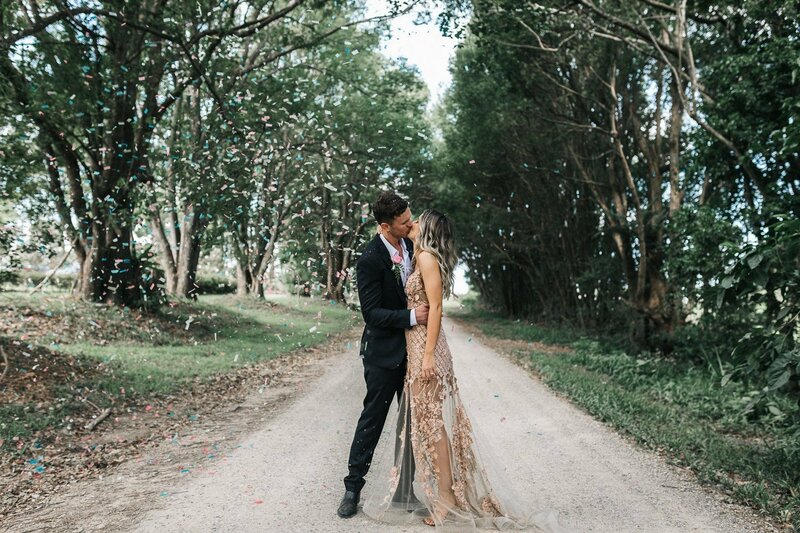 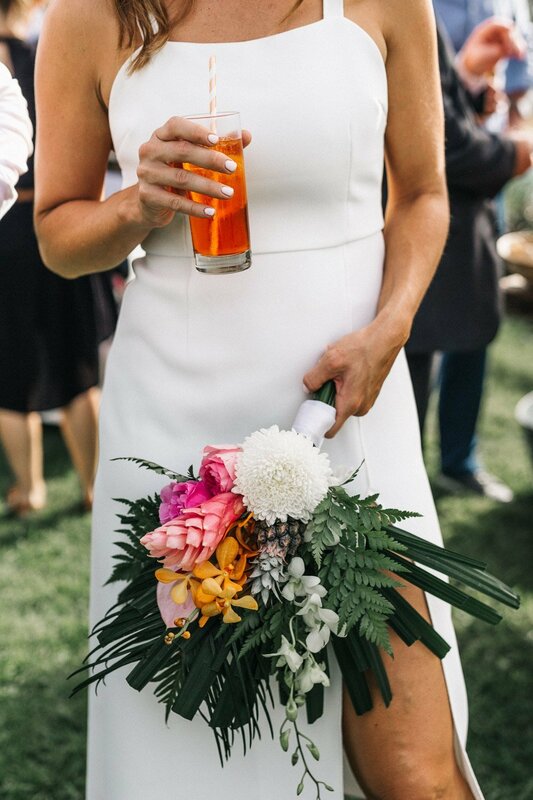 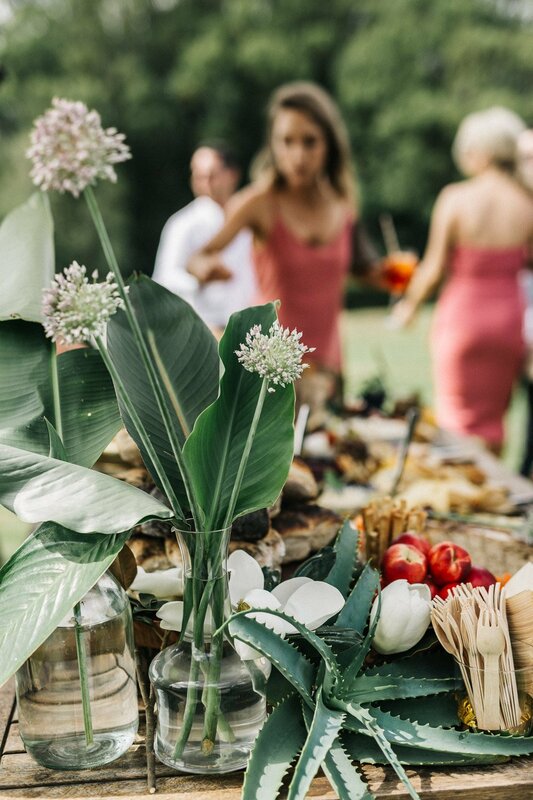 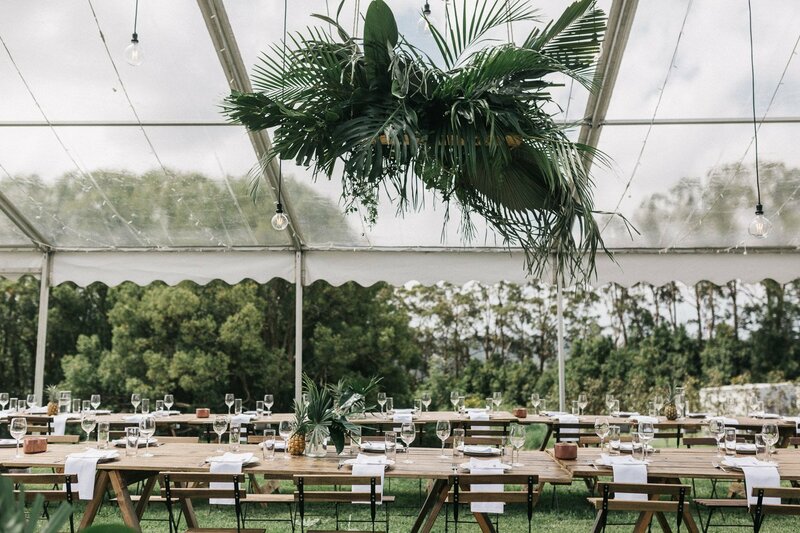 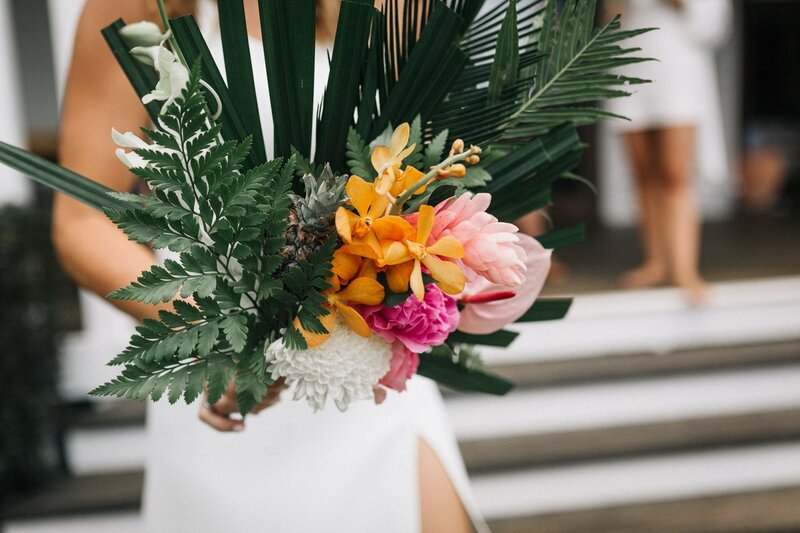 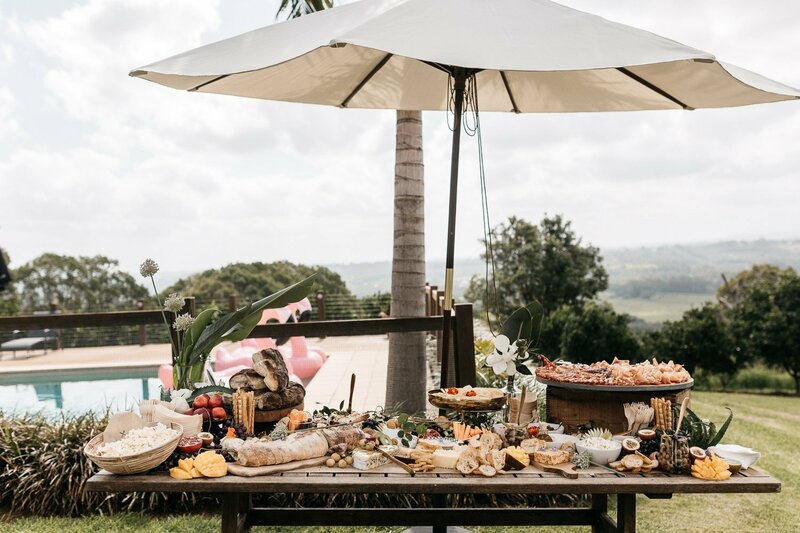 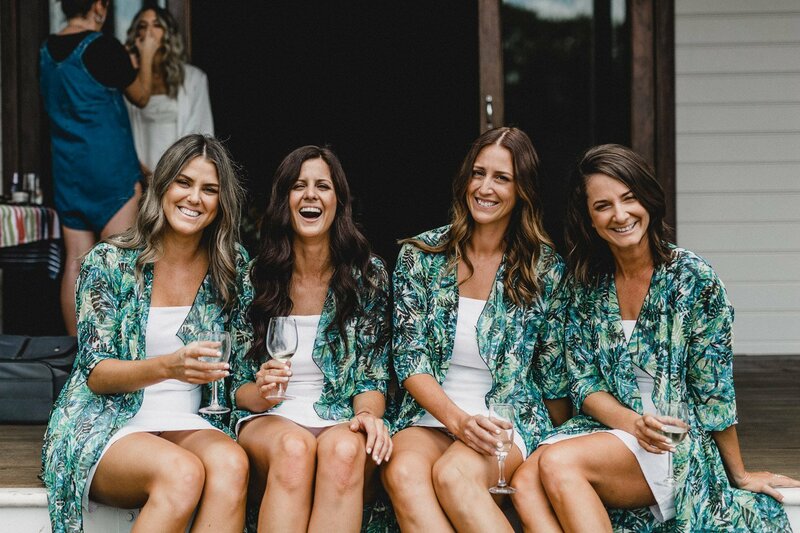 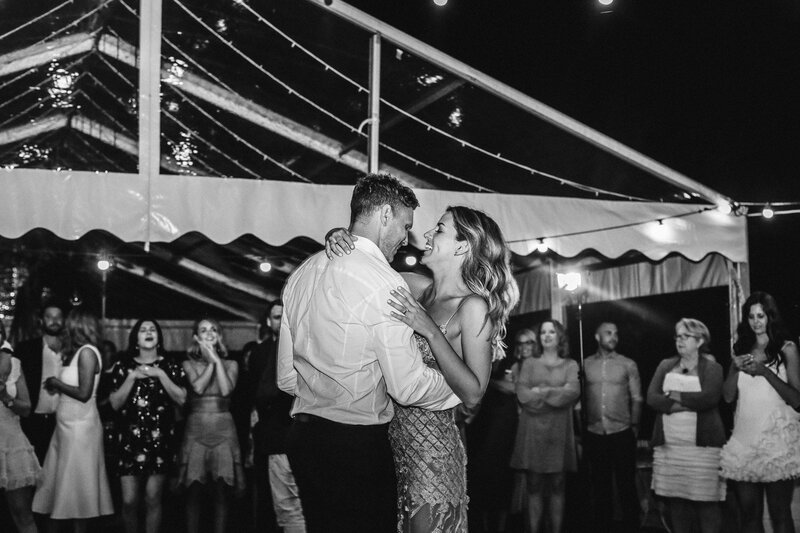 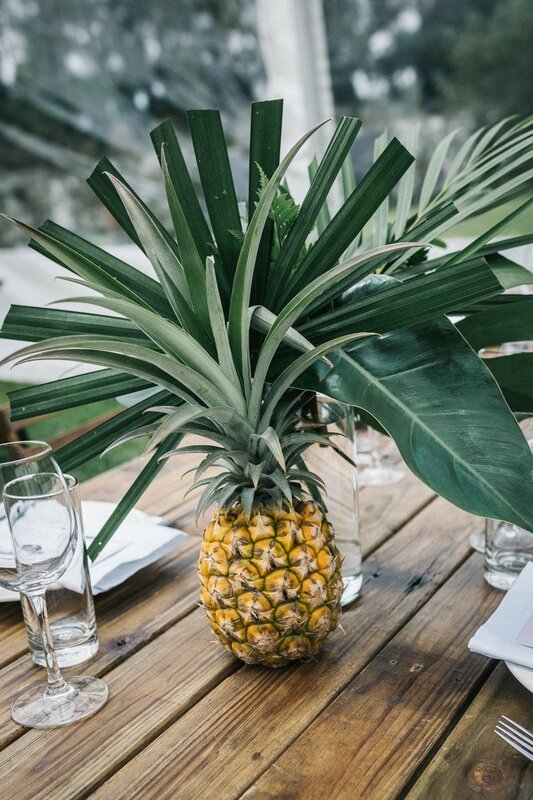 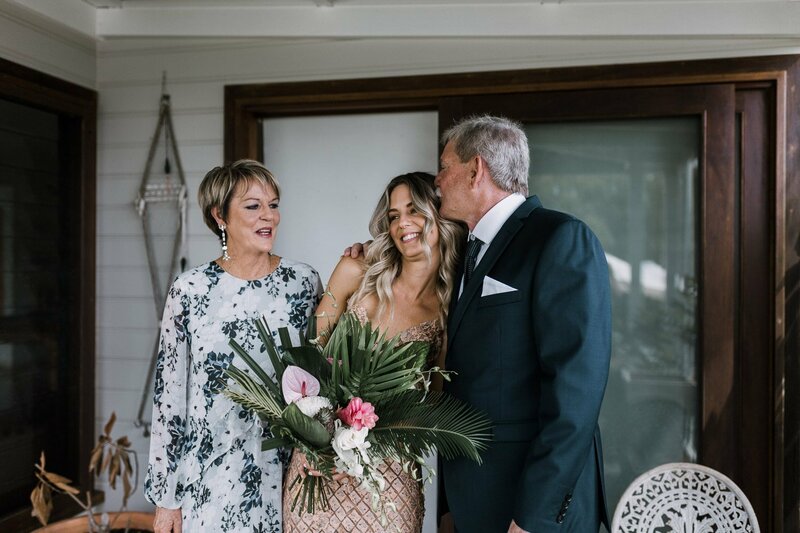 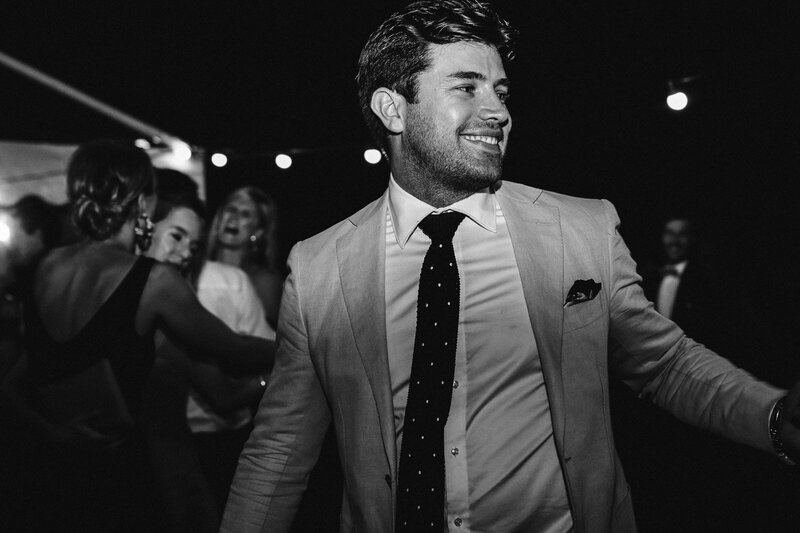 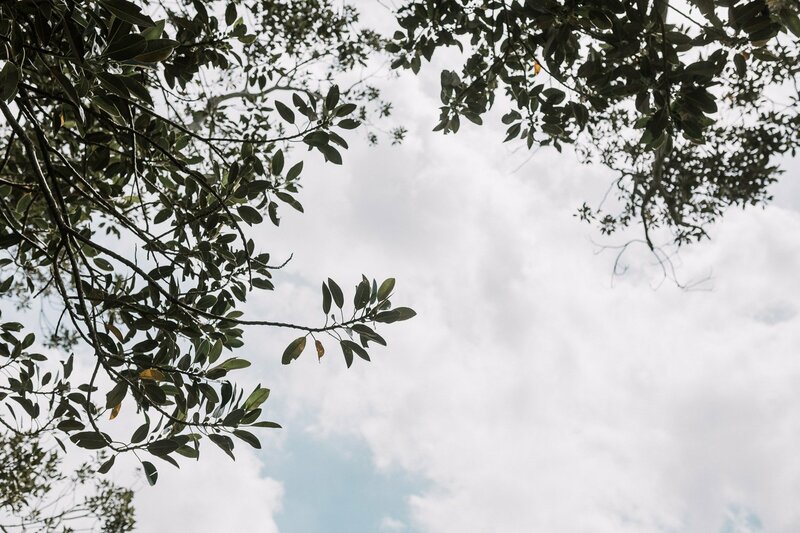 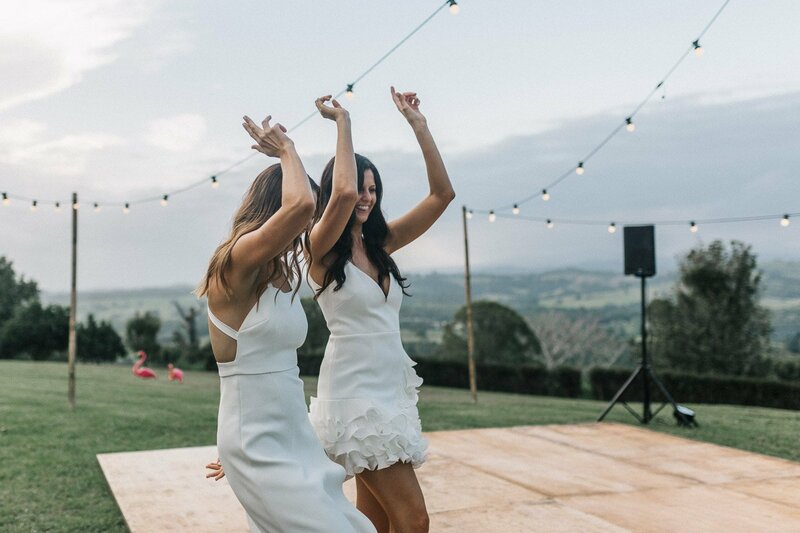 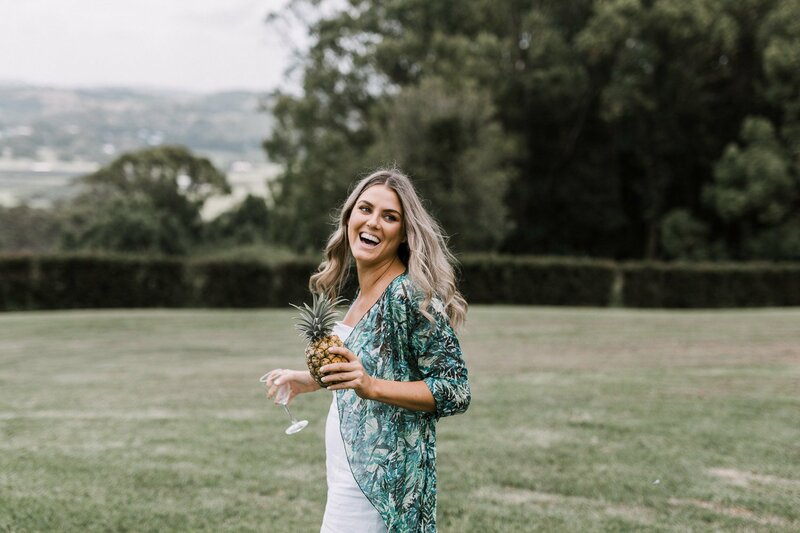 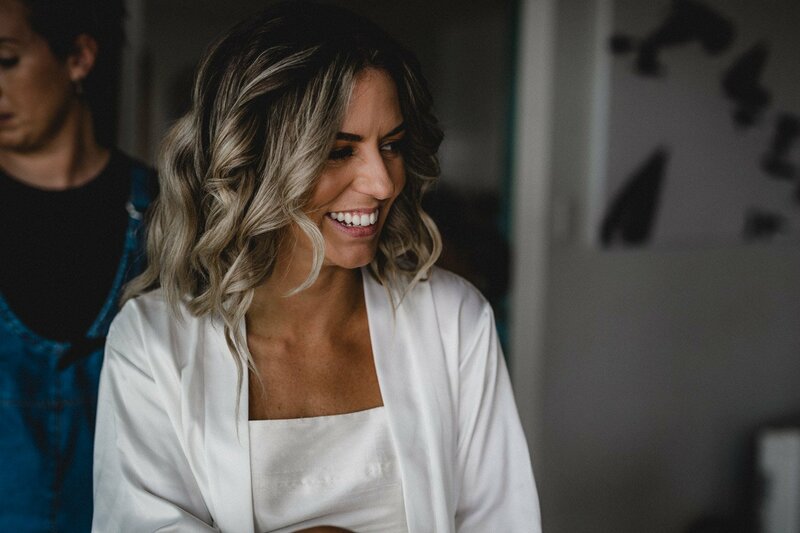 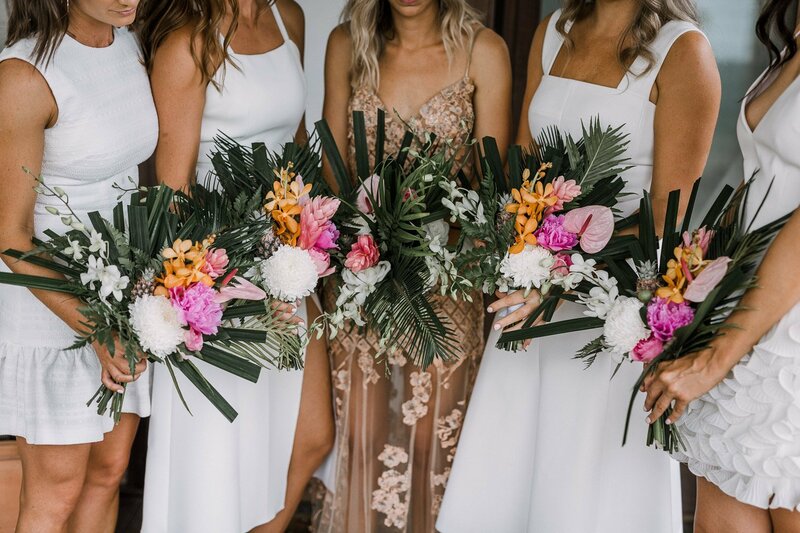 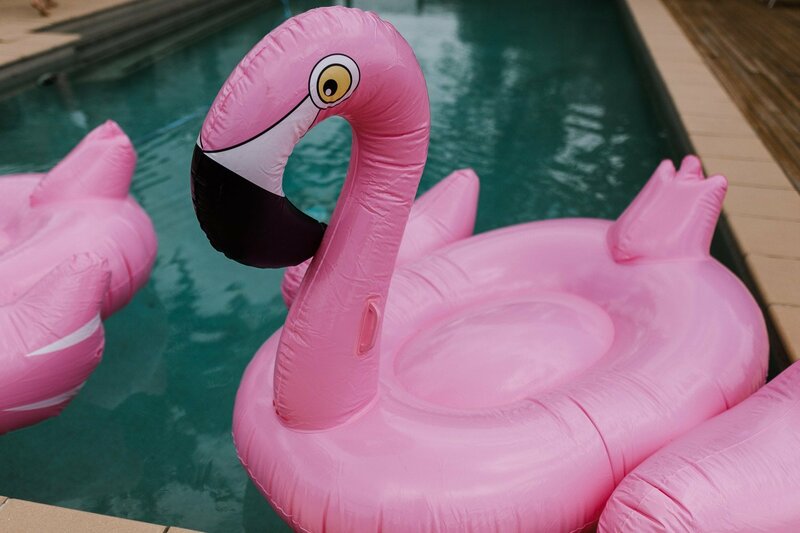 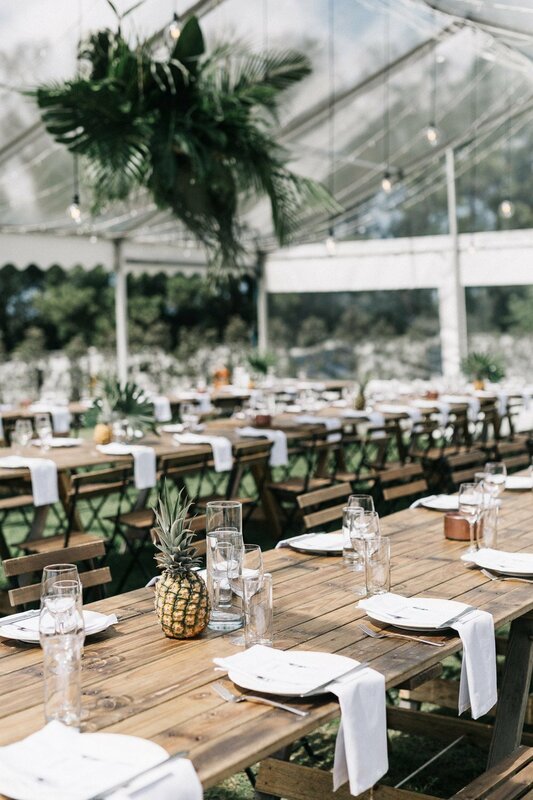 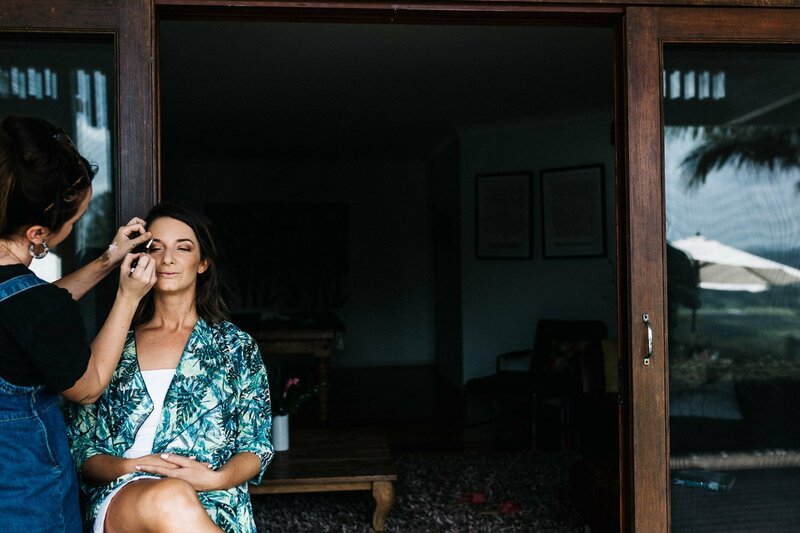 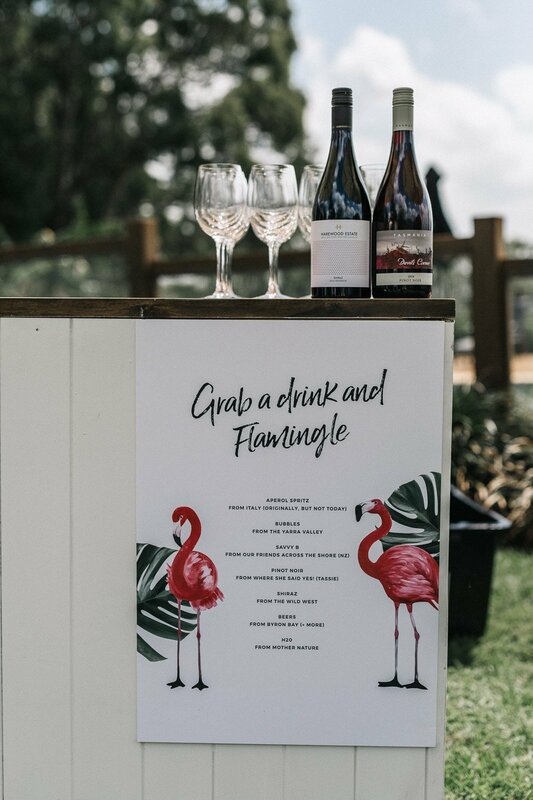 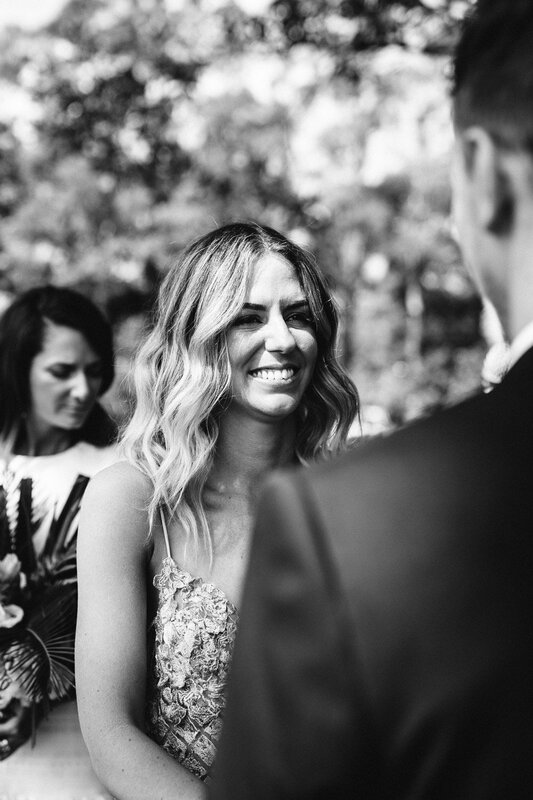 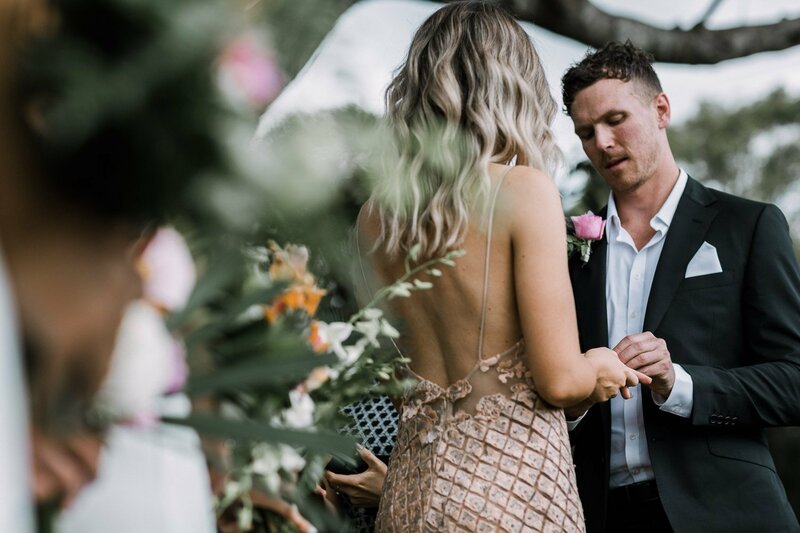 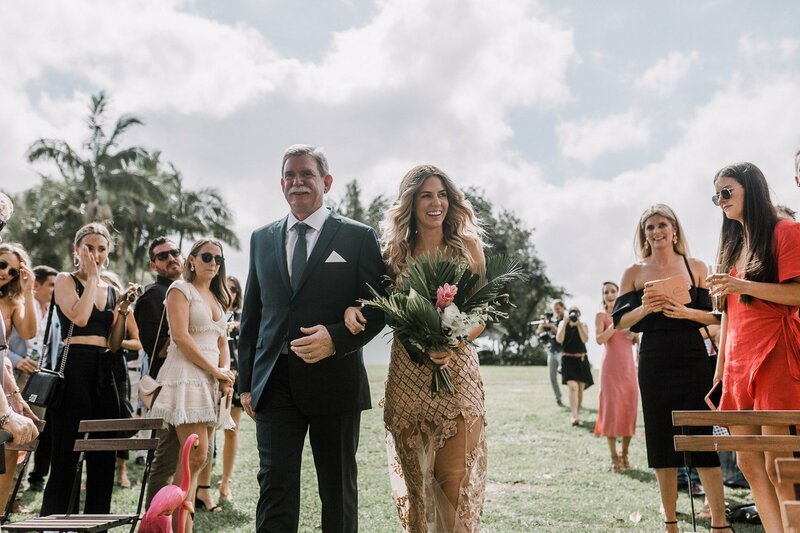 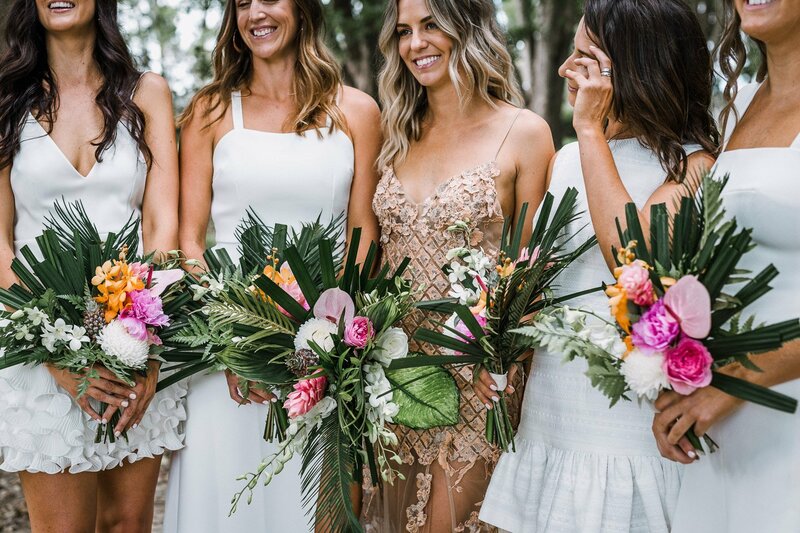 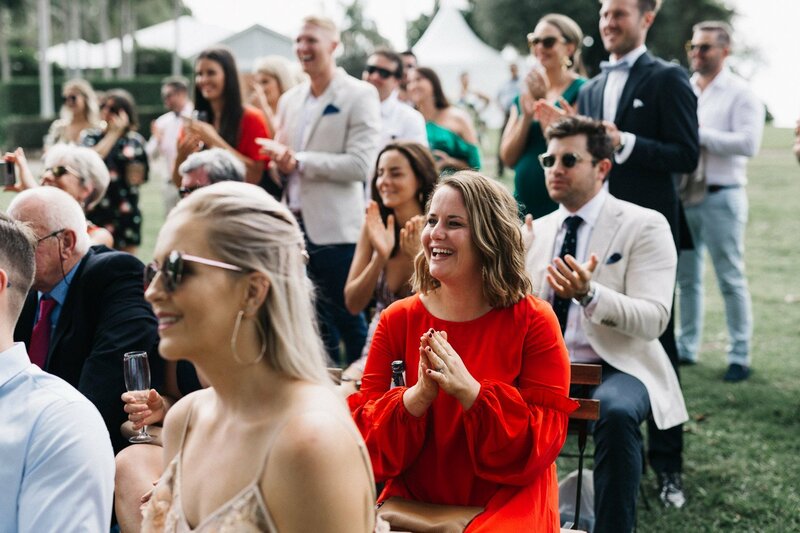 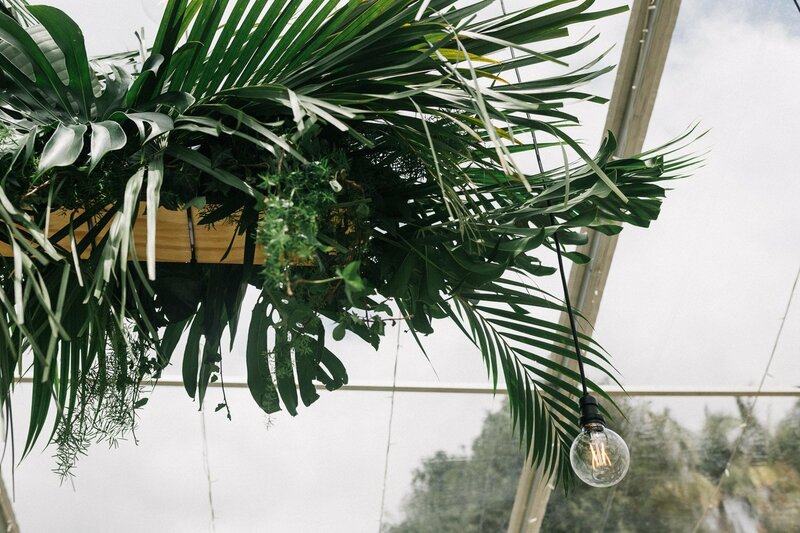 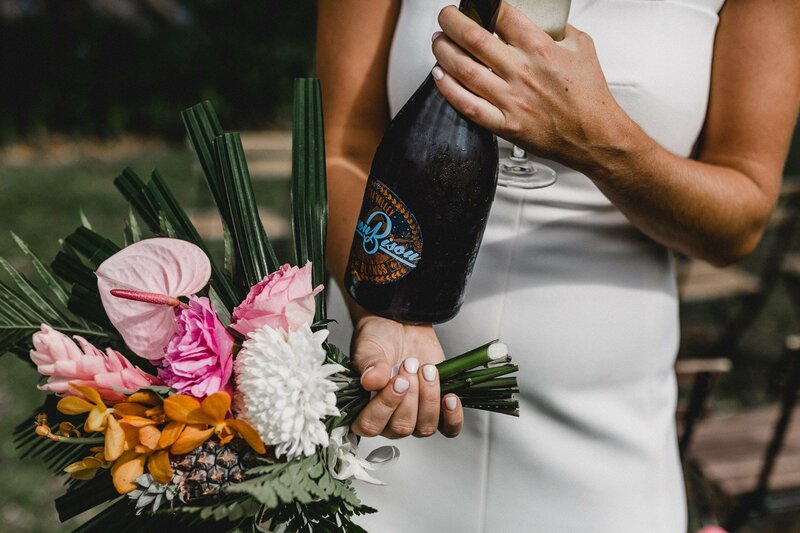 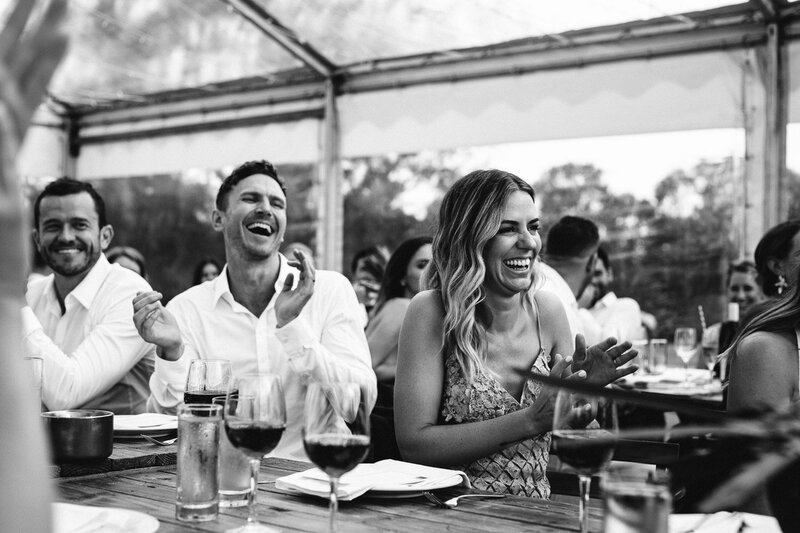 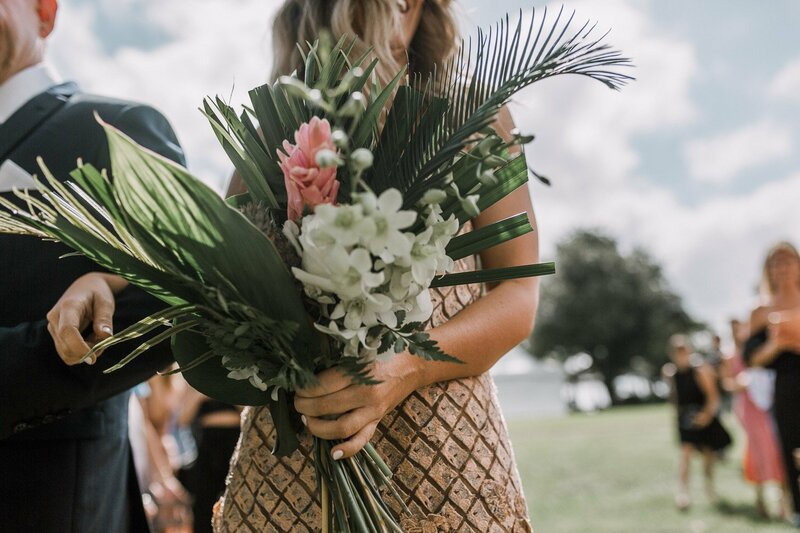 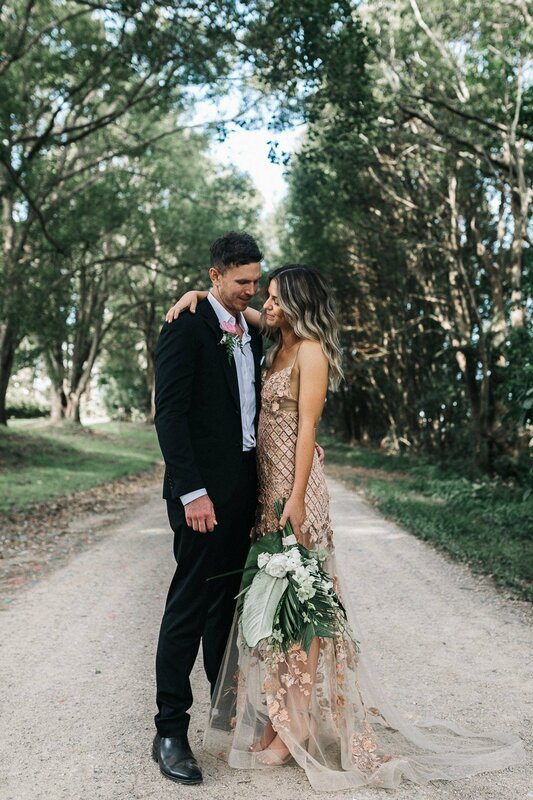 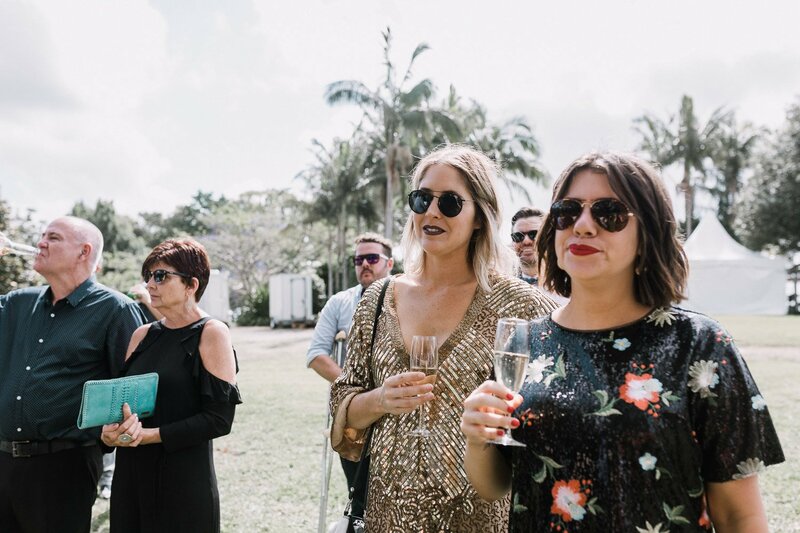 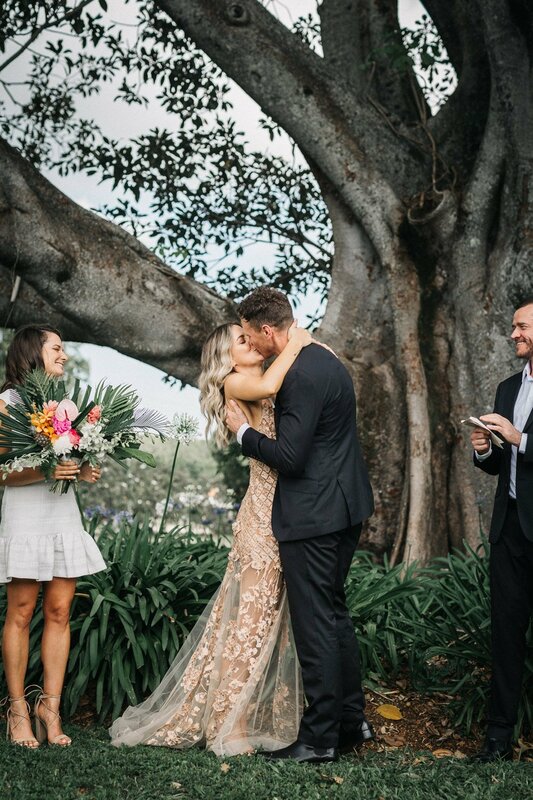 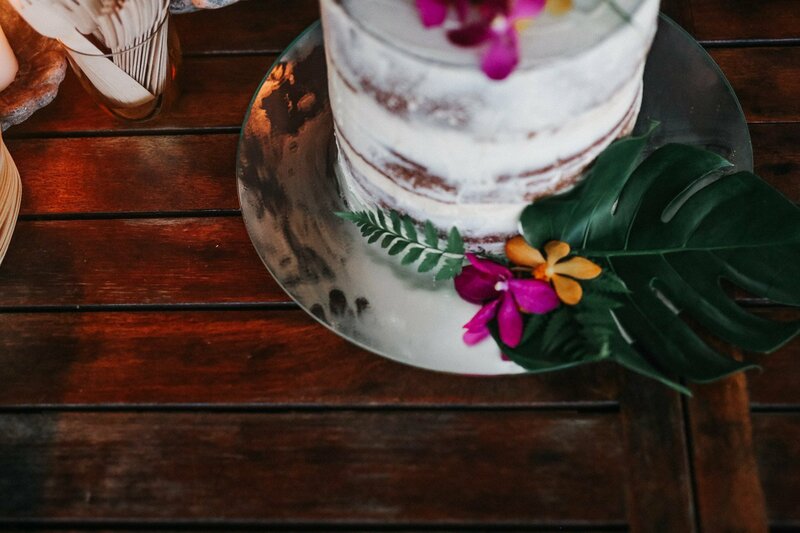 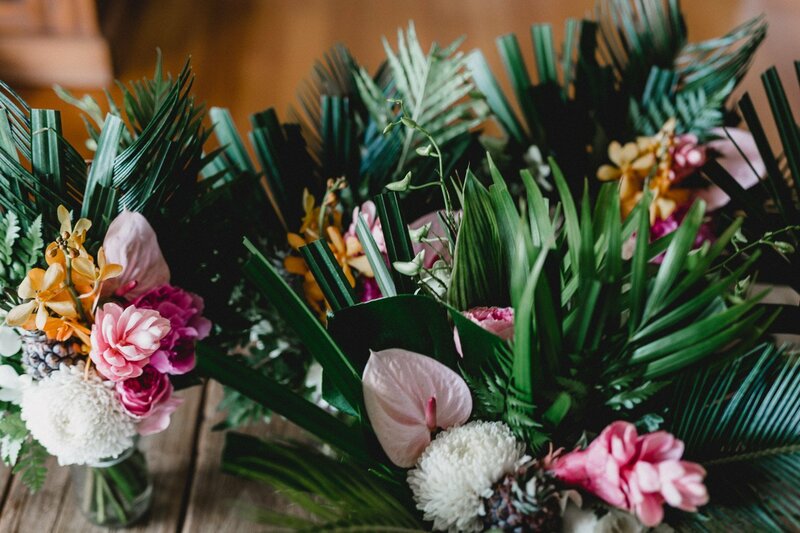 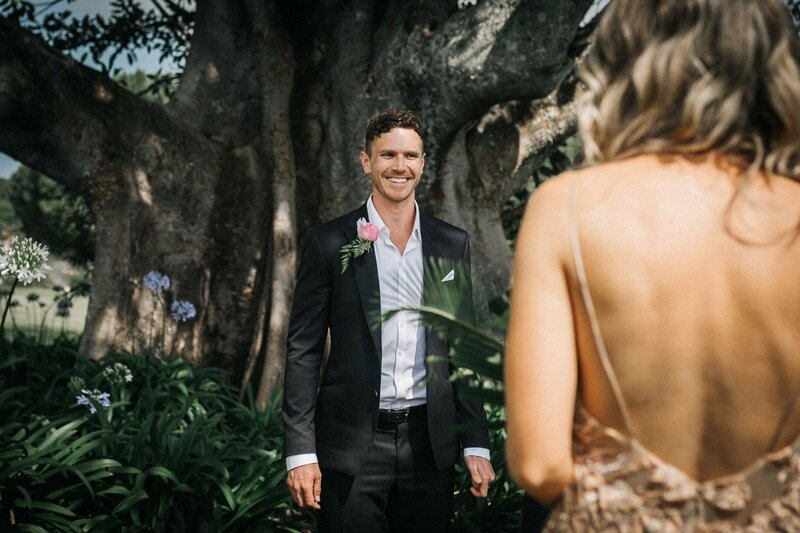 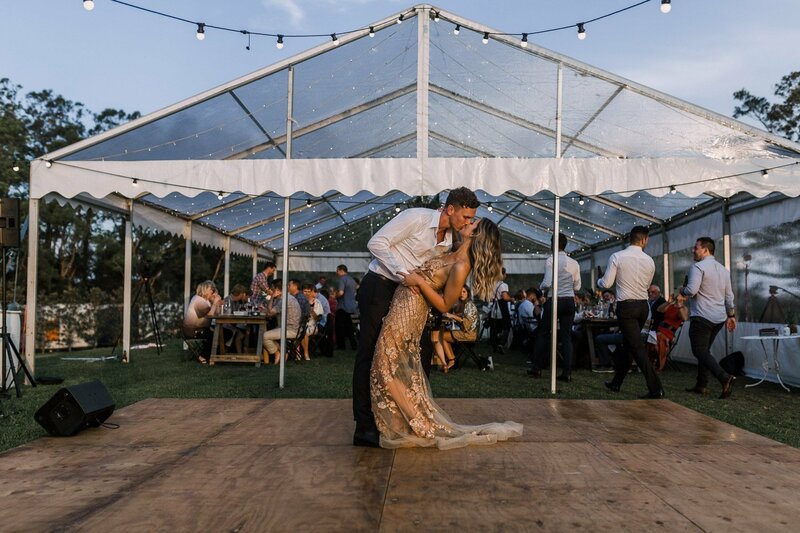 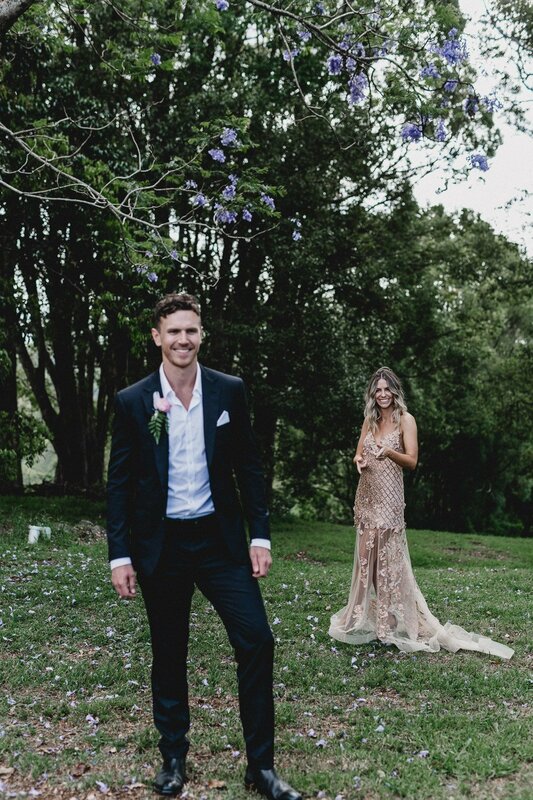 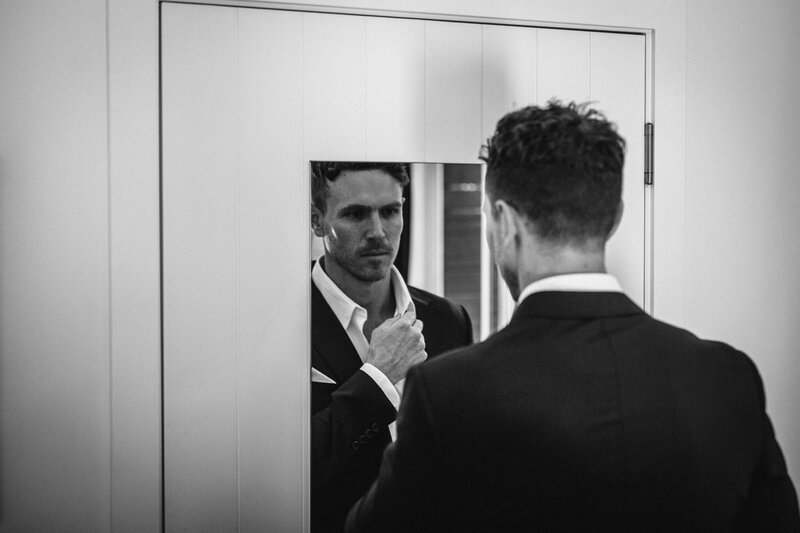 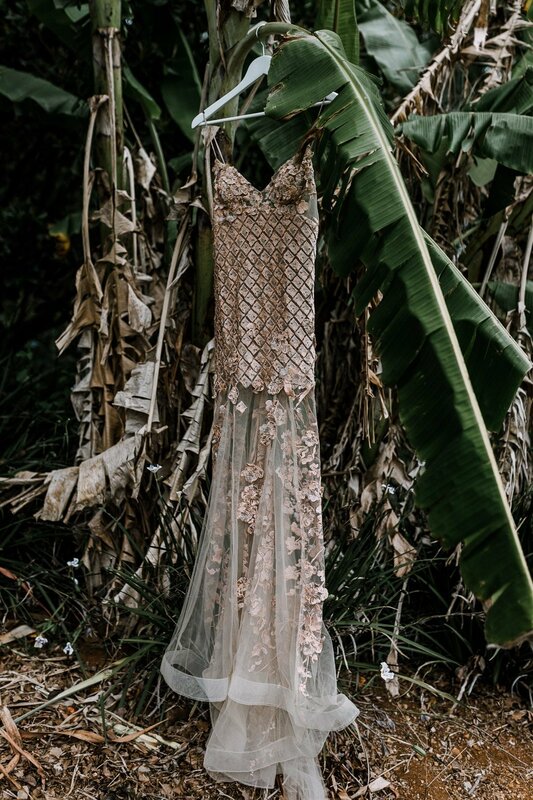 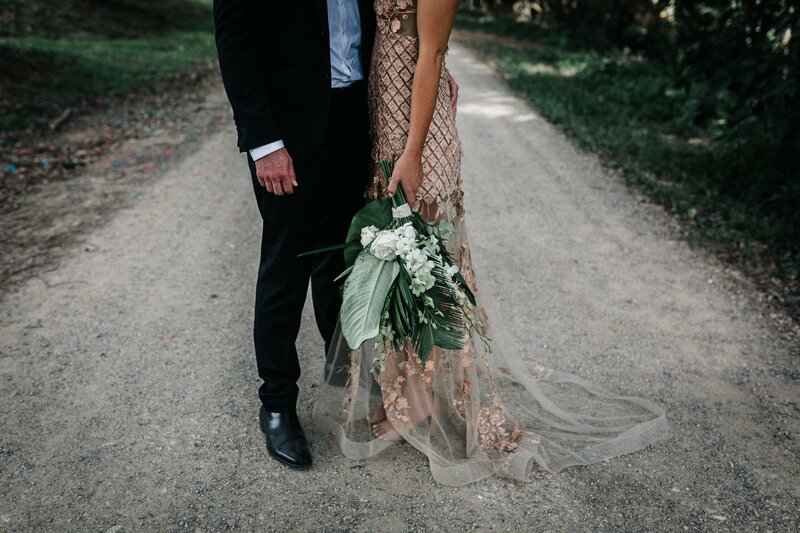 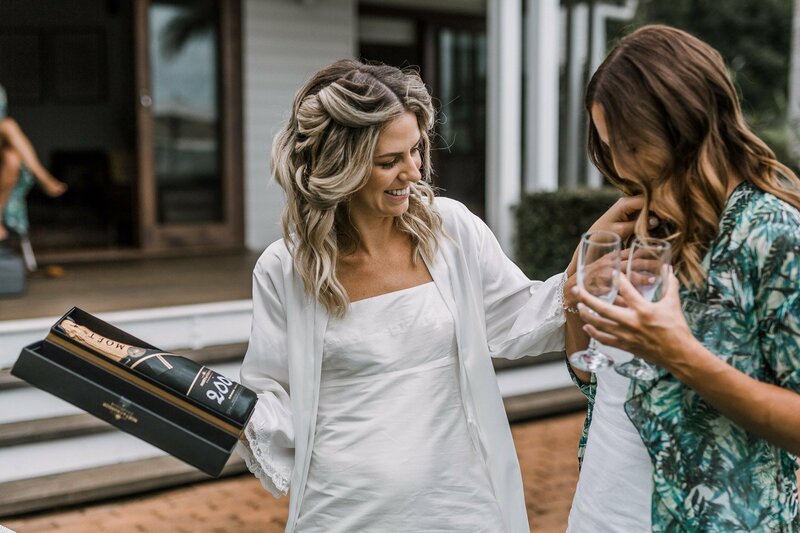 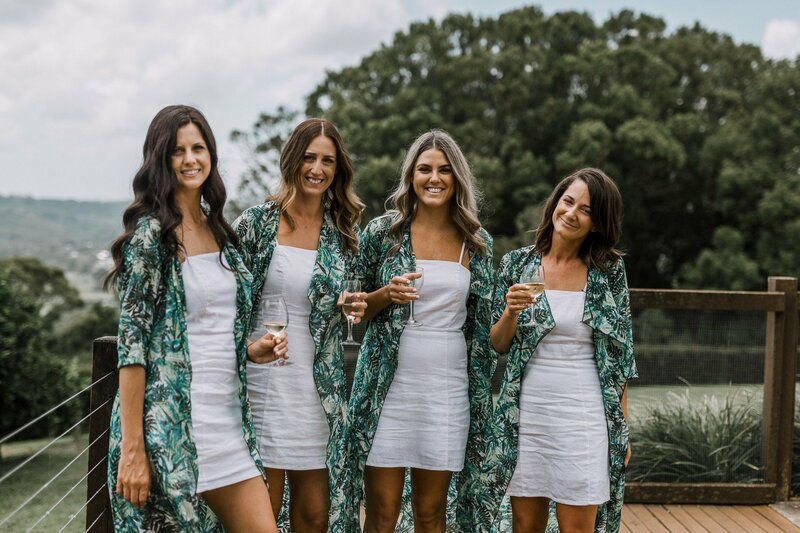 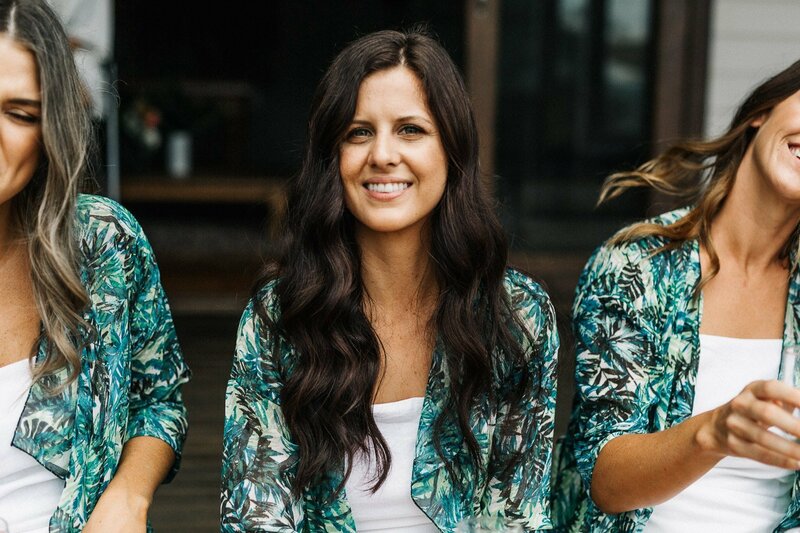 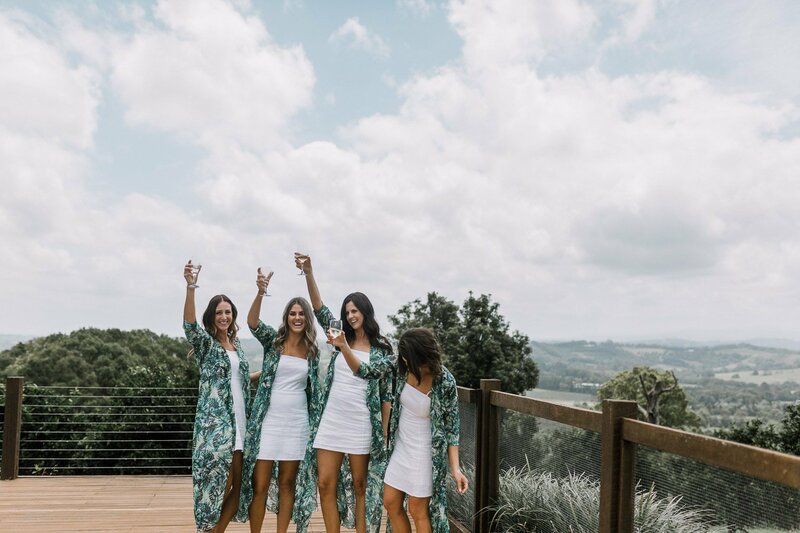 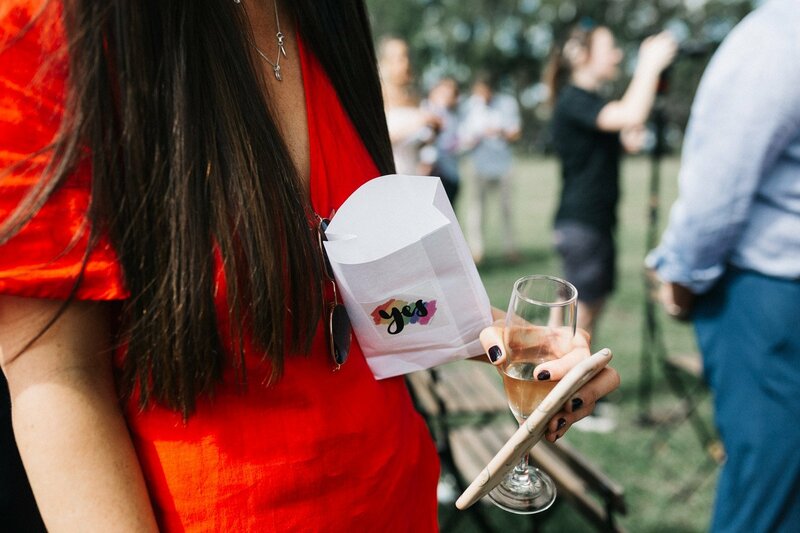 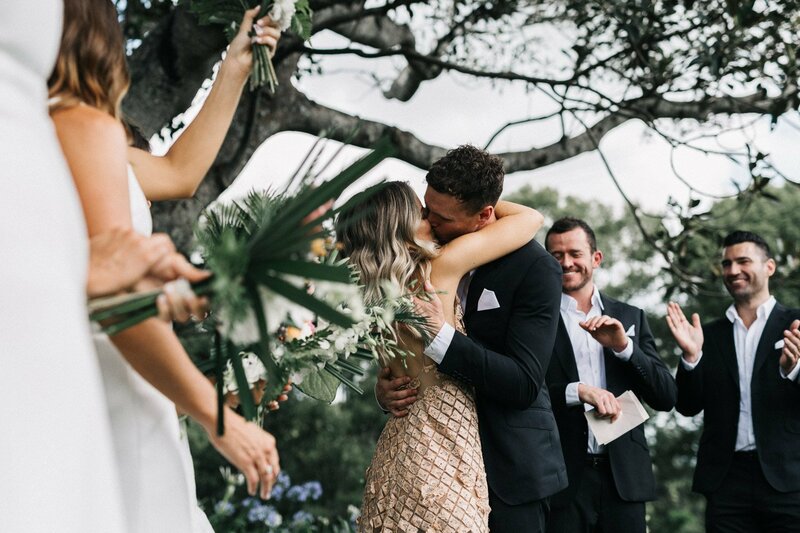 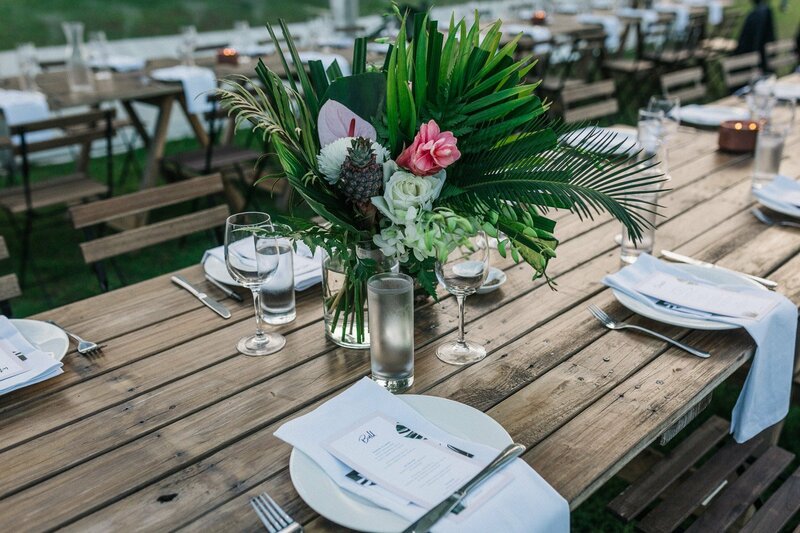 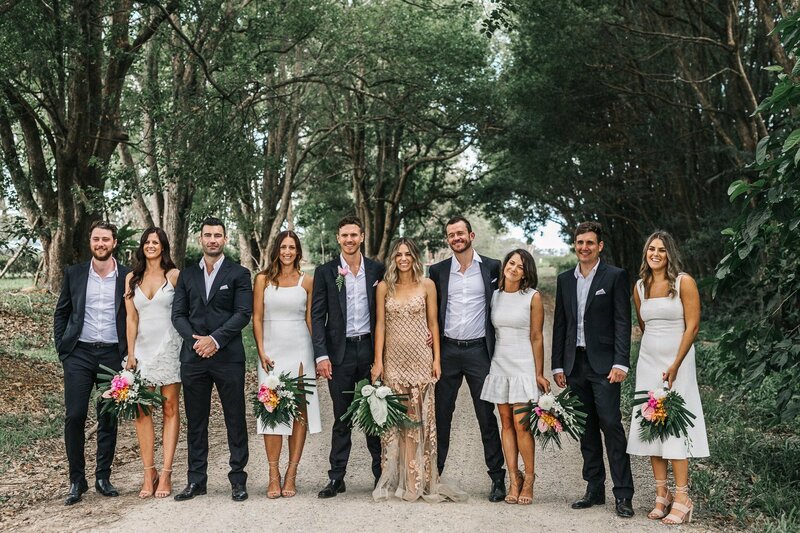 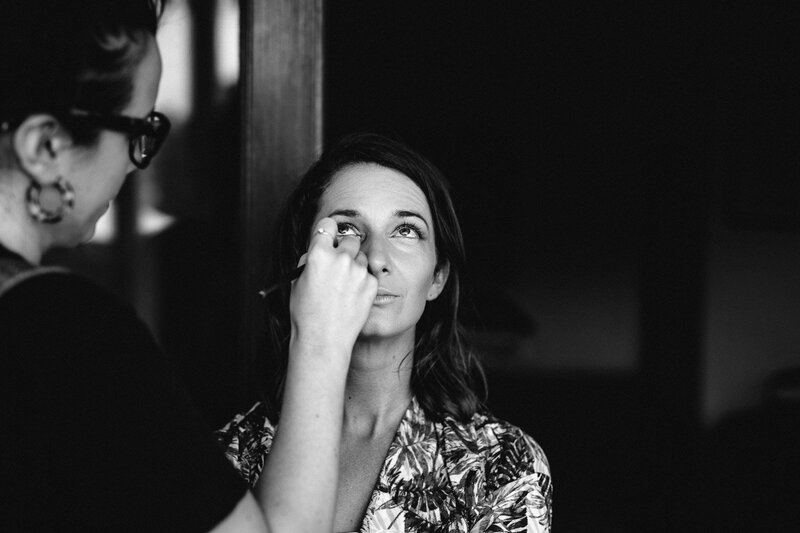 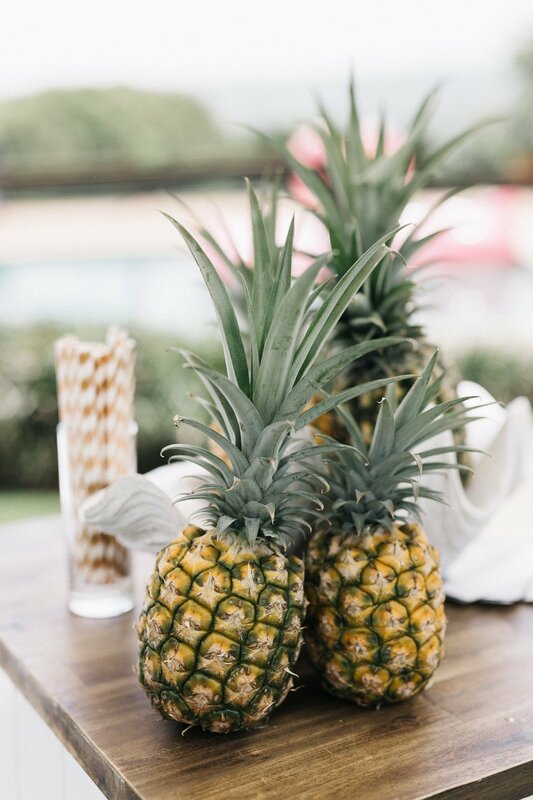 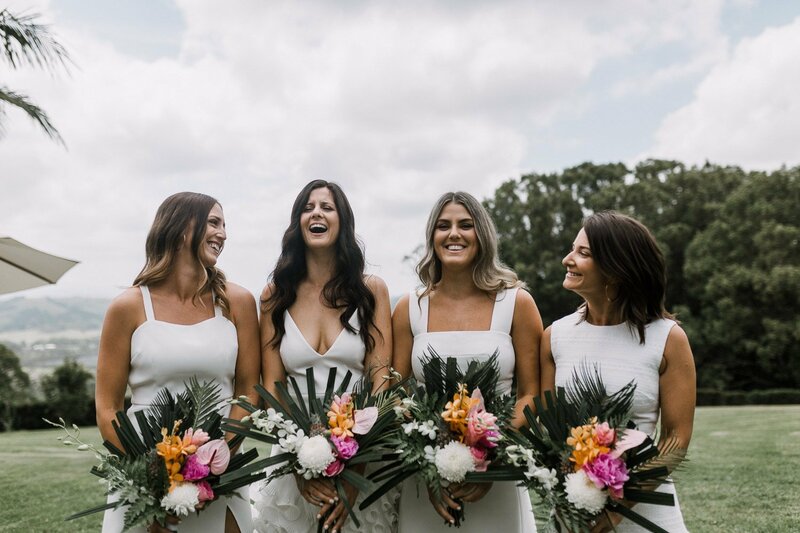 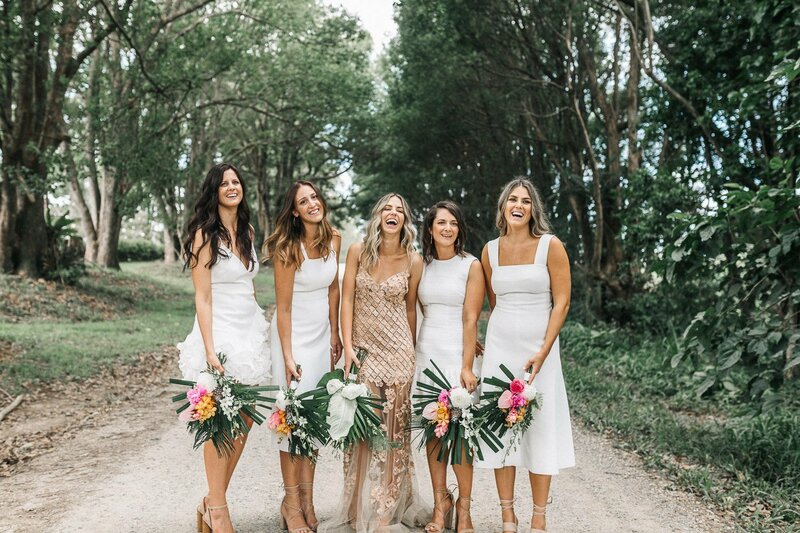 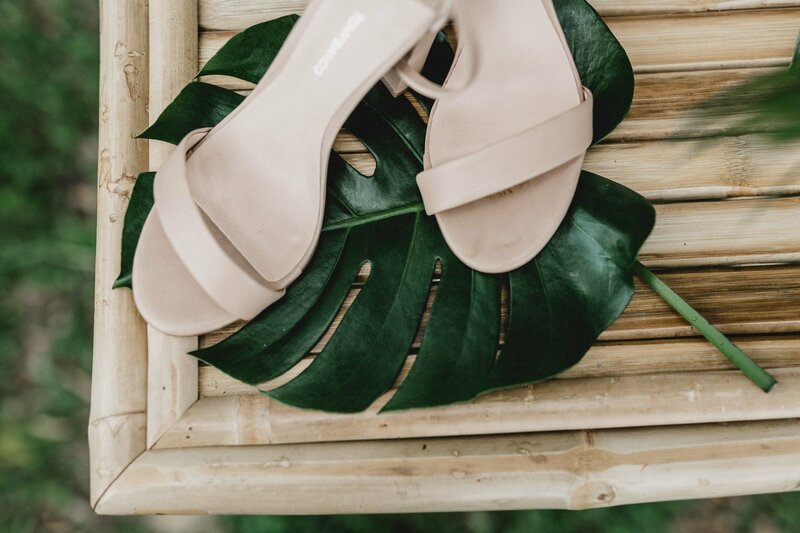 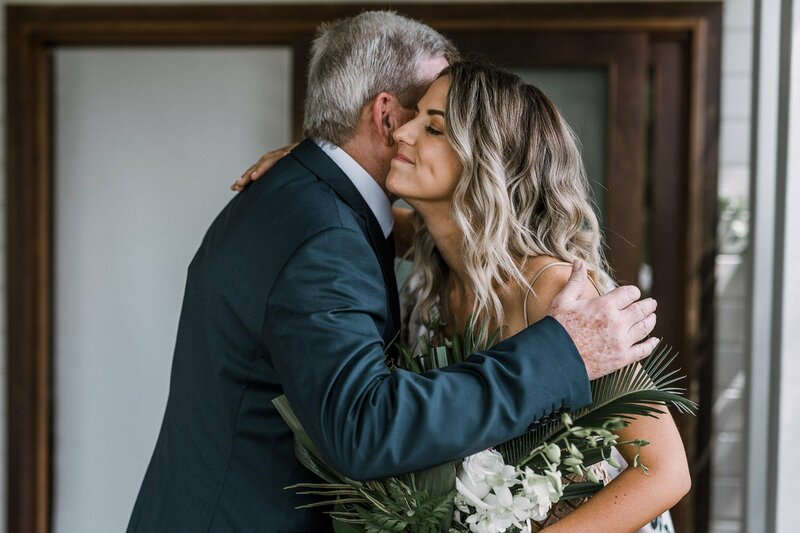 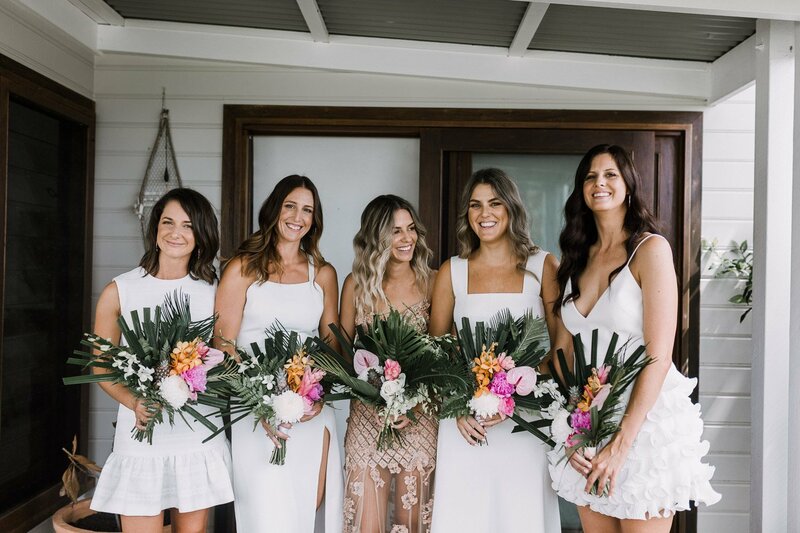 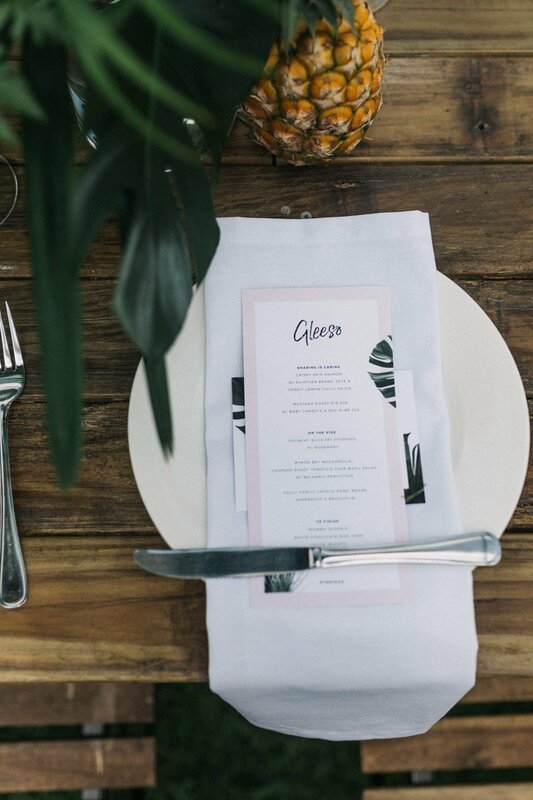 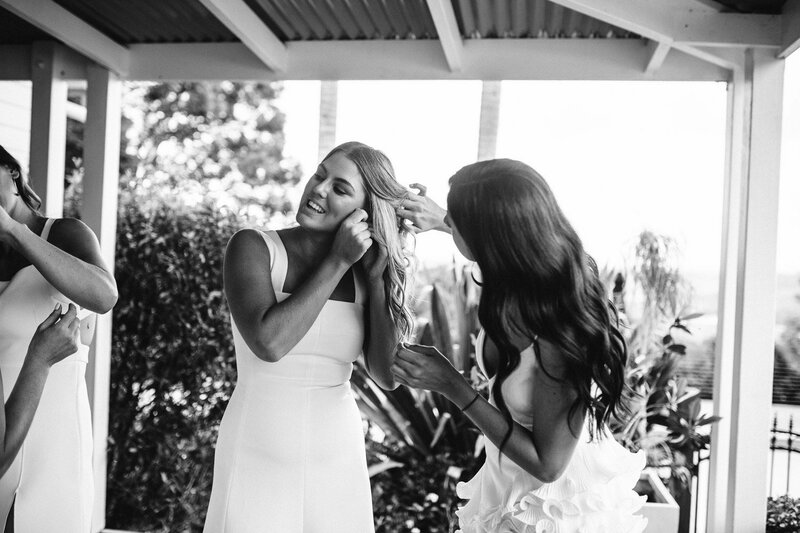 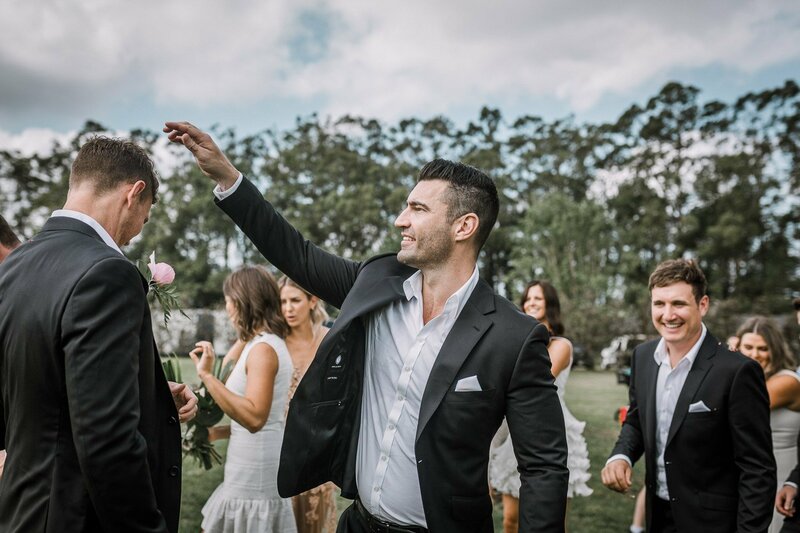 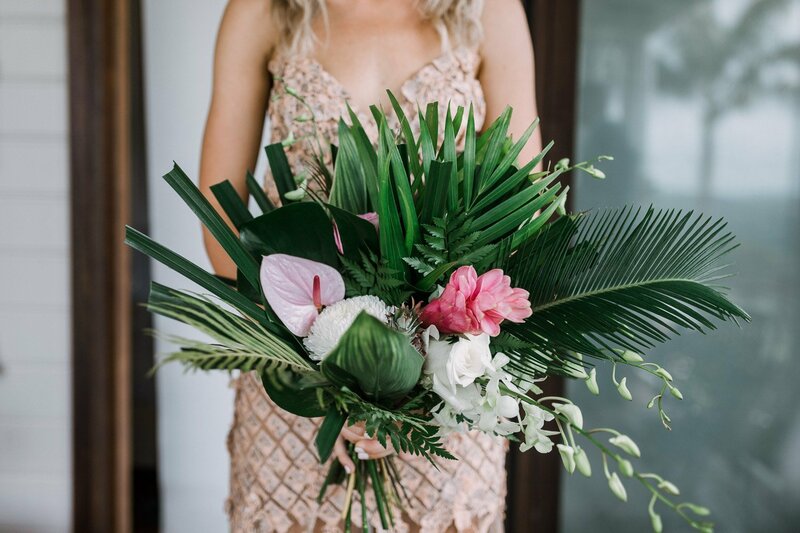 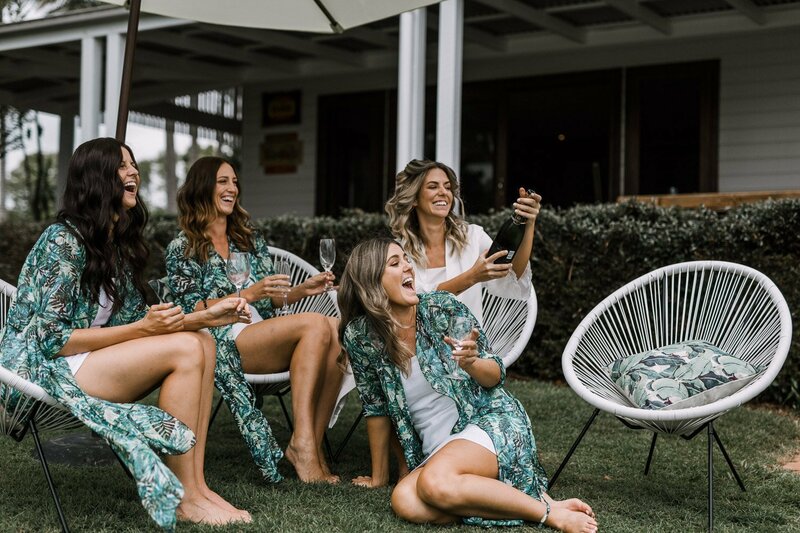 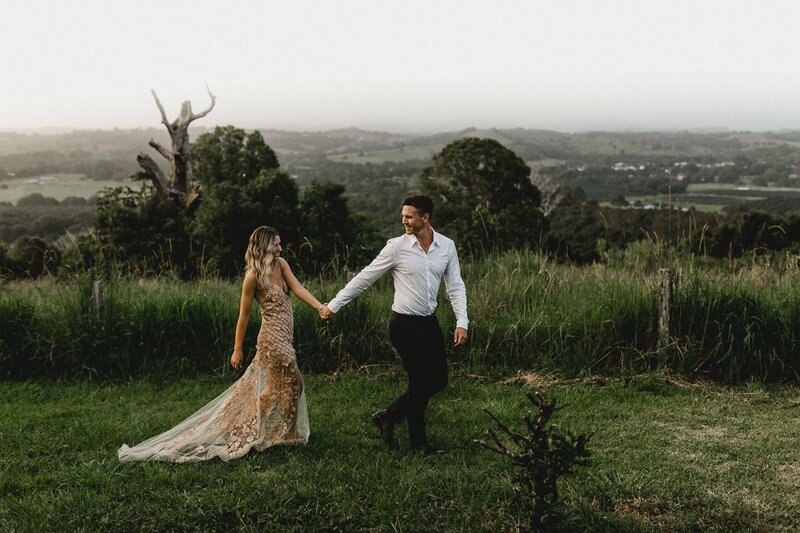 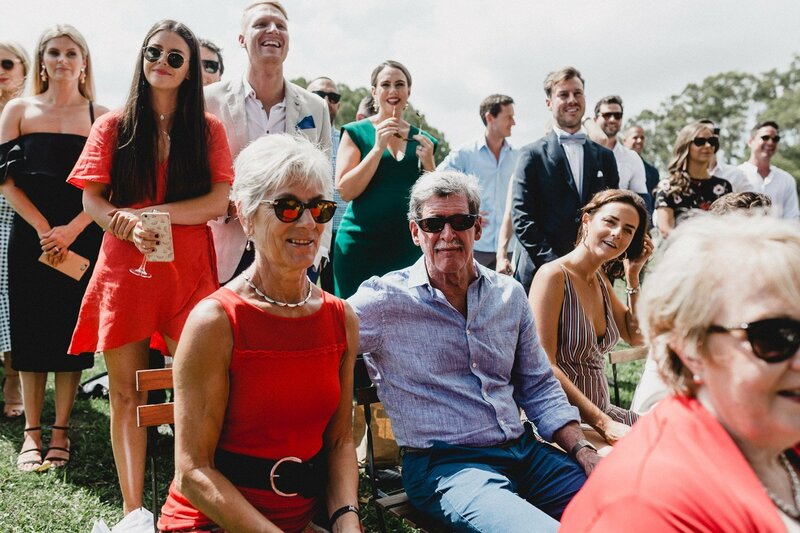 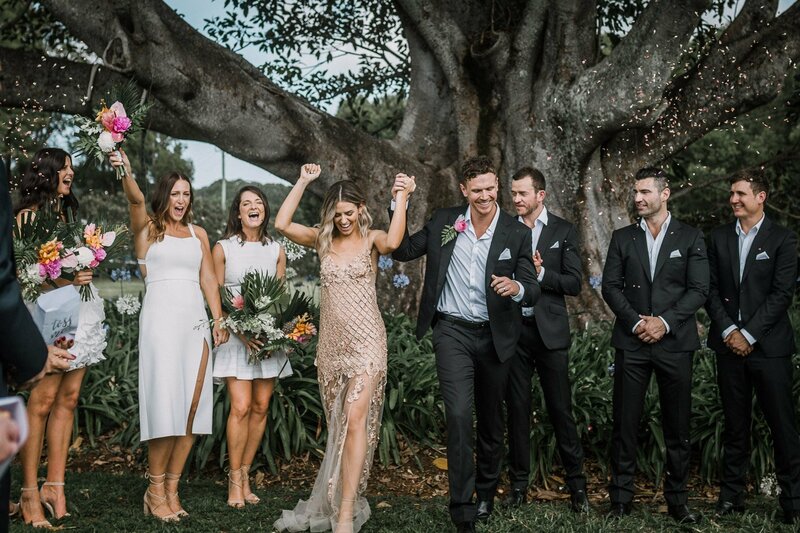 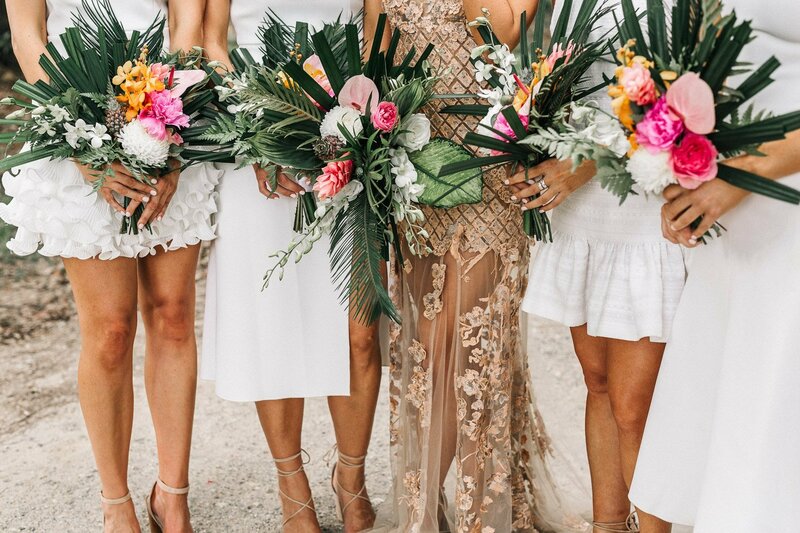 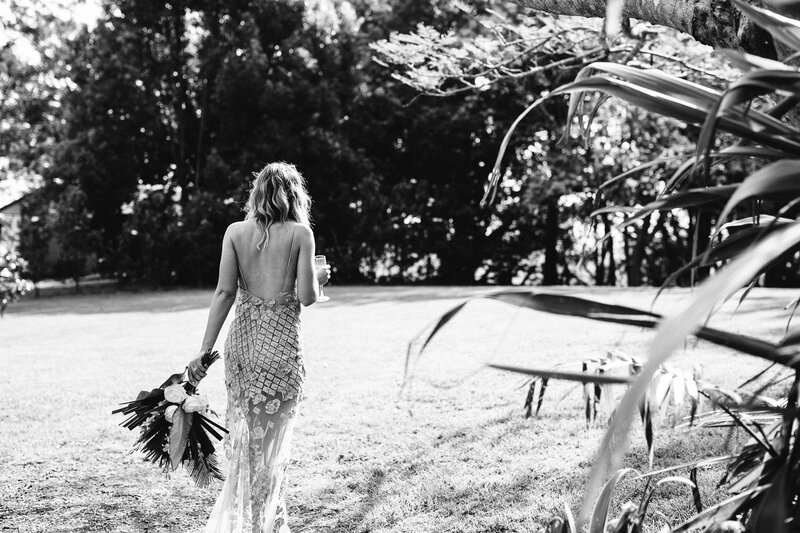 Christy, a marketing manager, was a bride who knew exactly what she wanted and was able to put together tropical inspired wedding, from Melbourne and I was so excited to fly up to NSW to be a part of it! 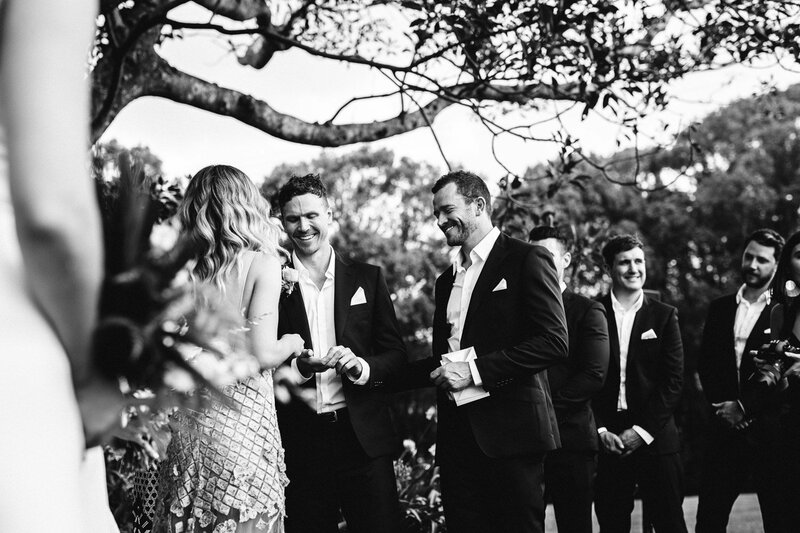 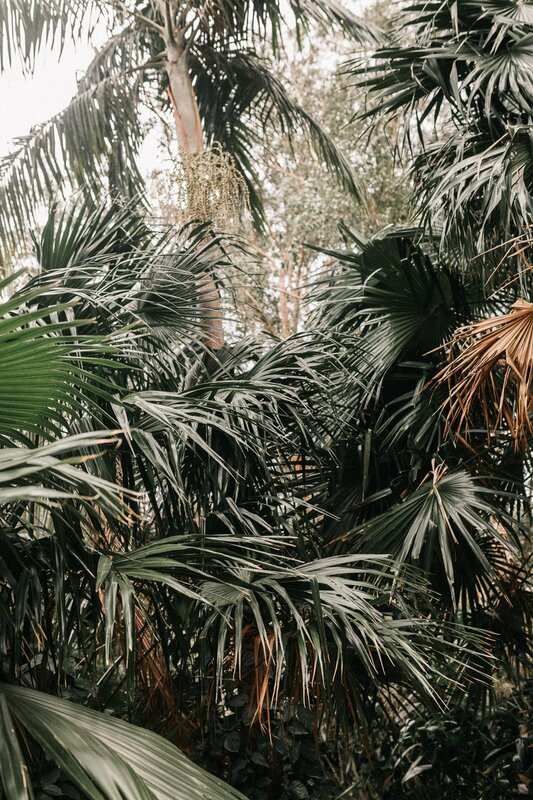 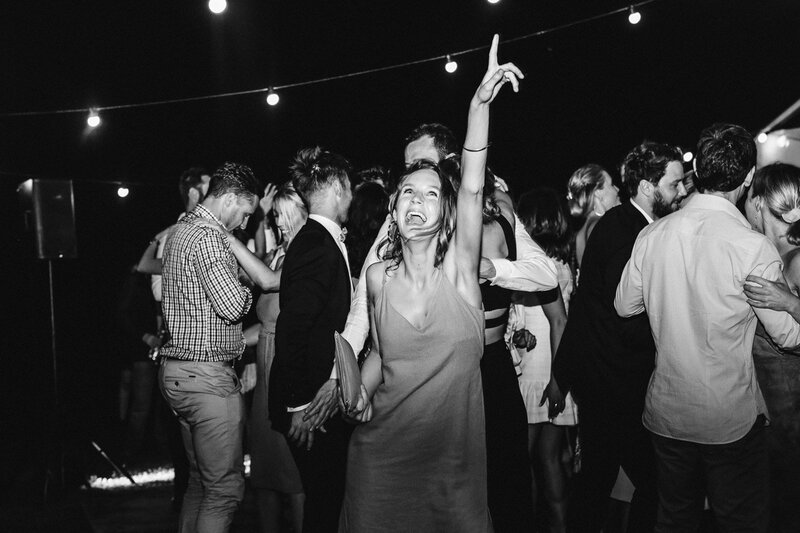 Byron Bay is one of my favourite spots, and I was lucky enough to spend the morning at the beach before making my way to Troy and his groomsmen who were getting ready at Airbnb with a cool jungle feel. 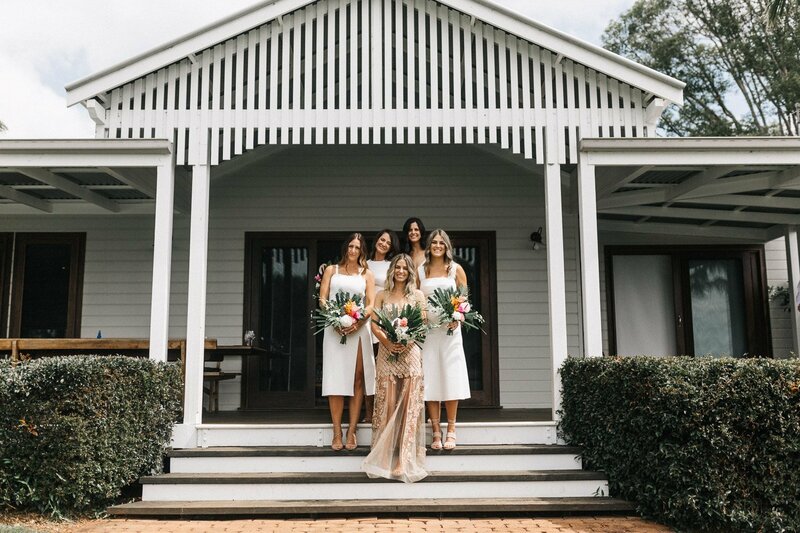 After lots of laughs with the boys, I left for the beautiful Cedia House in Bungalow where Christy and her girls had already started the party. 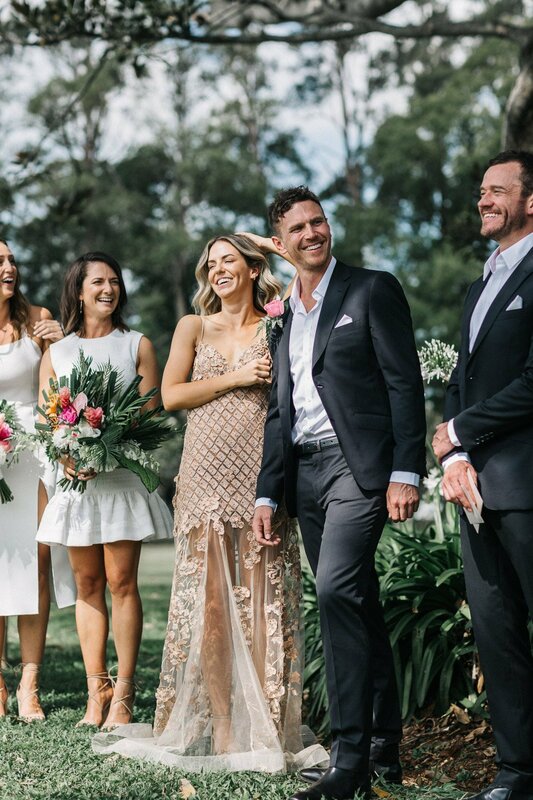 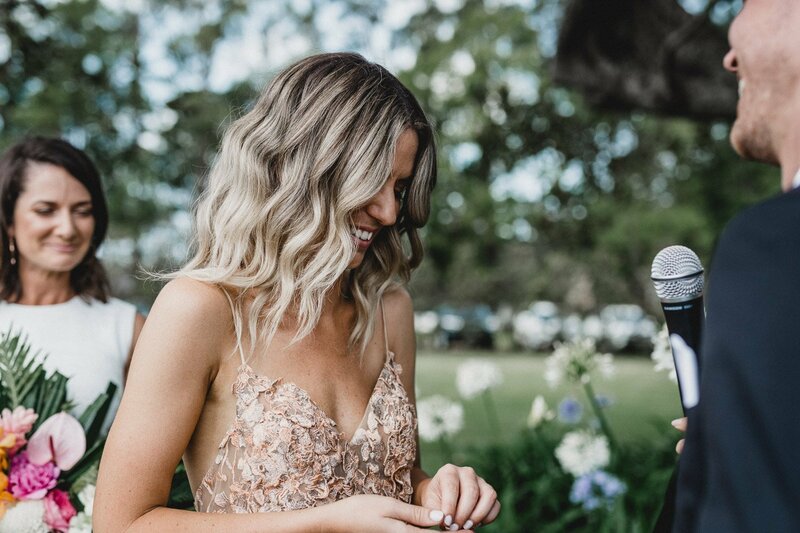 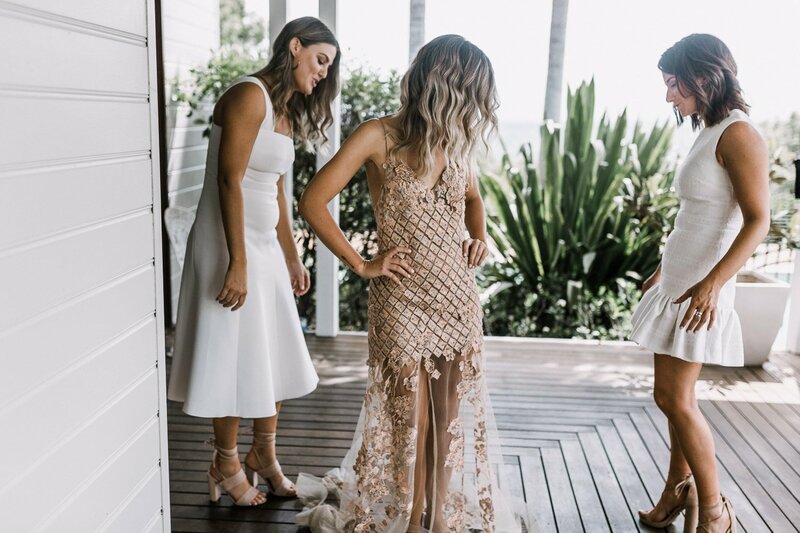 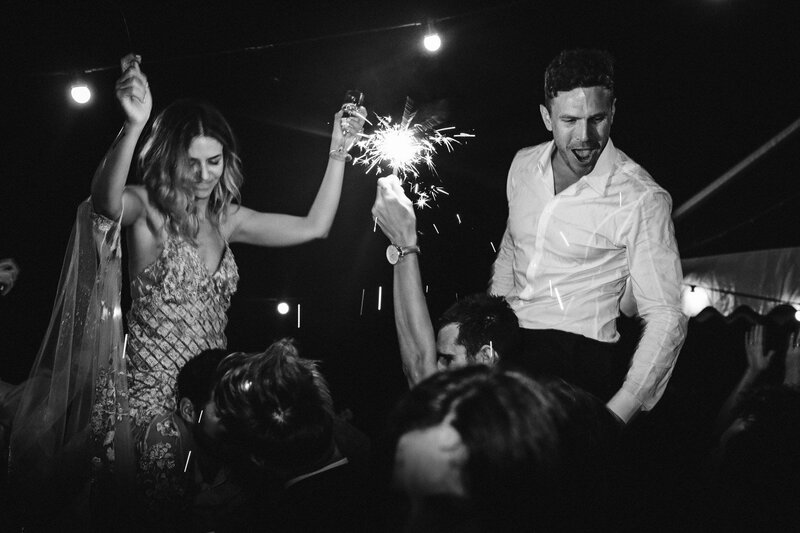 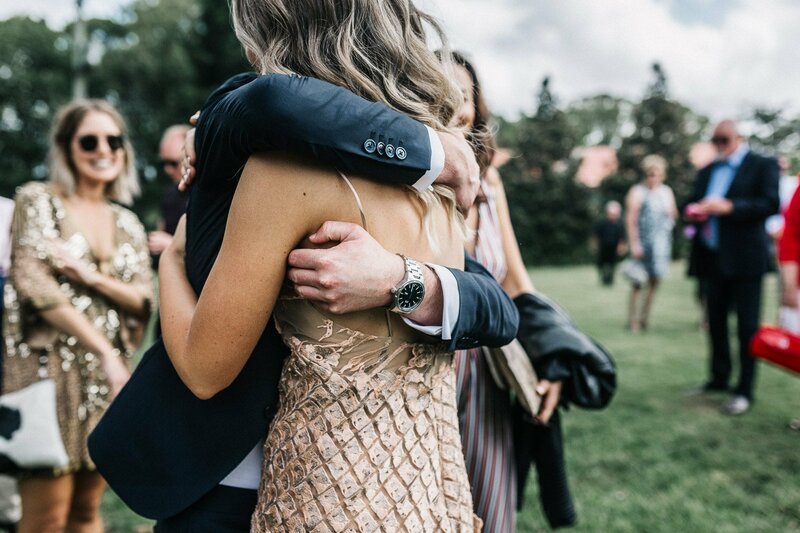 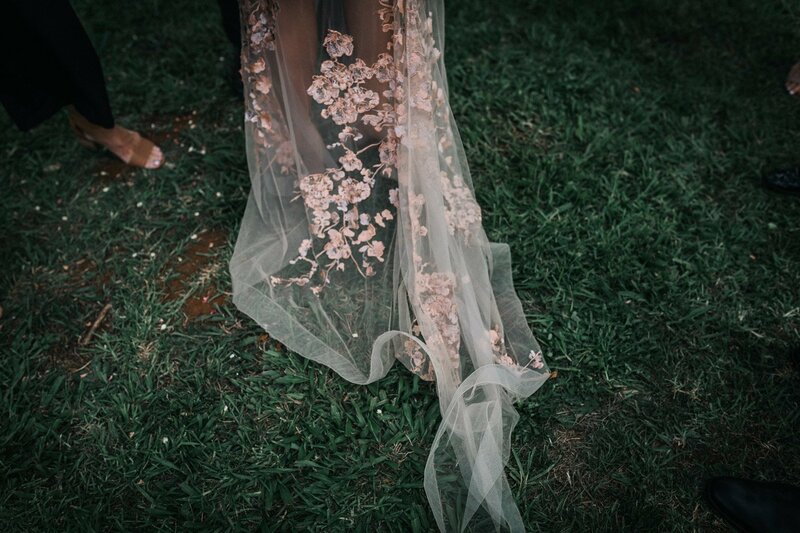 After some drinks and candid shots, Christy got dressed in her STUNNING rose gold One Day Bridal gown and set off down the aisle. 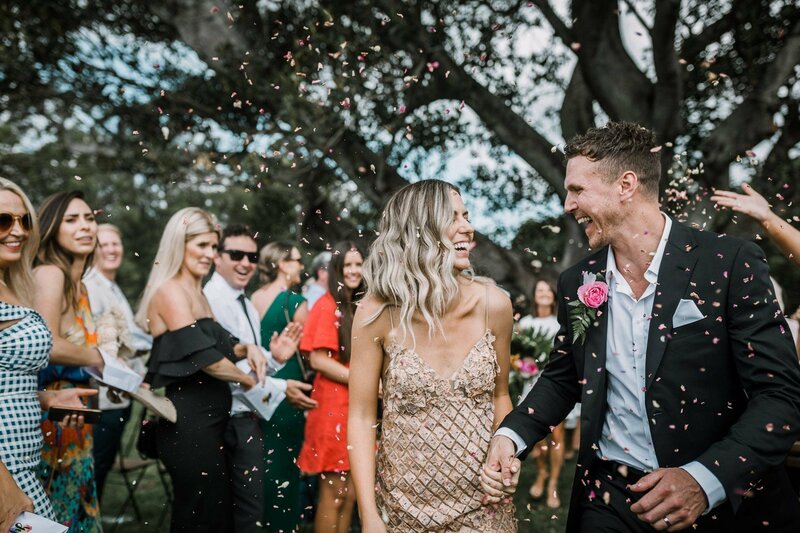 The ceremony was light hearted yet emotional and was finished with a confetti exit. 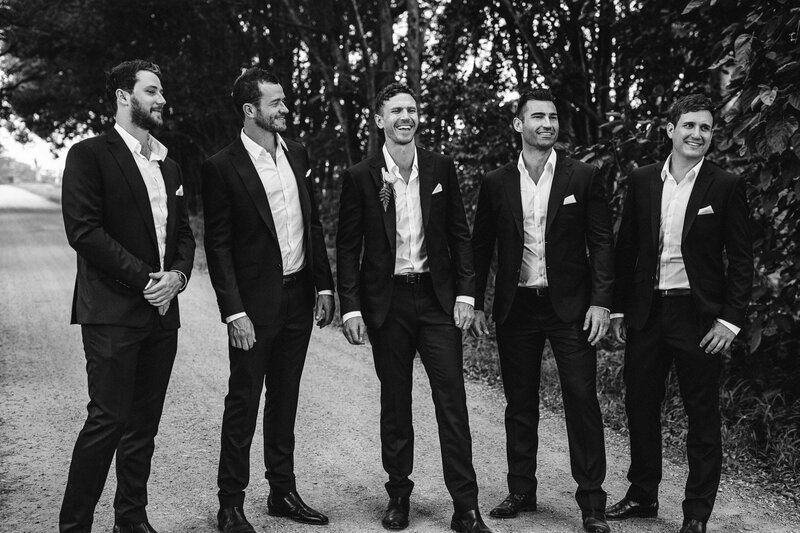 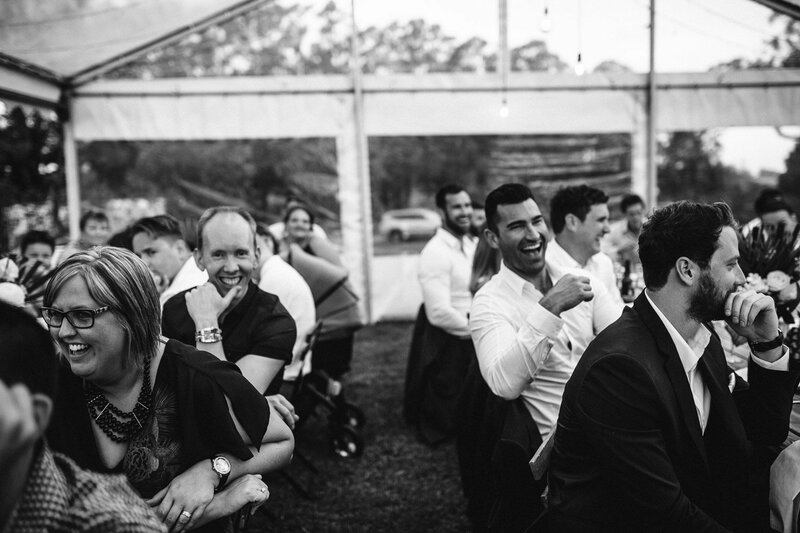 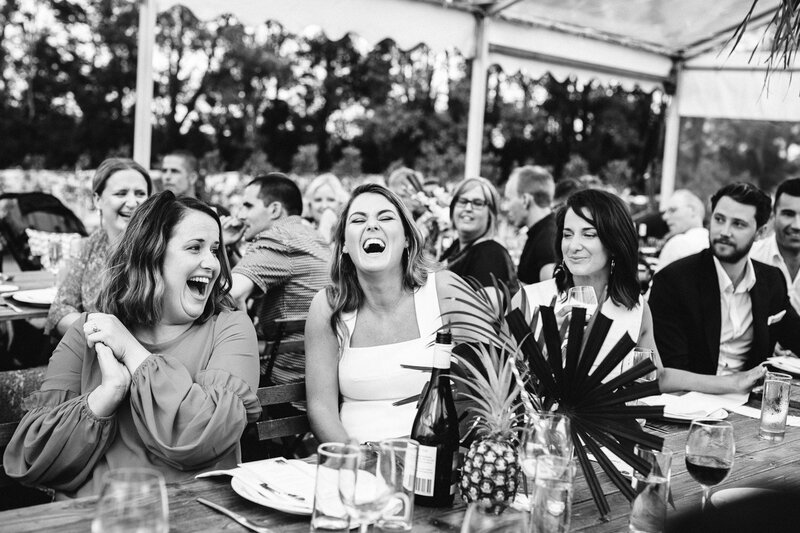 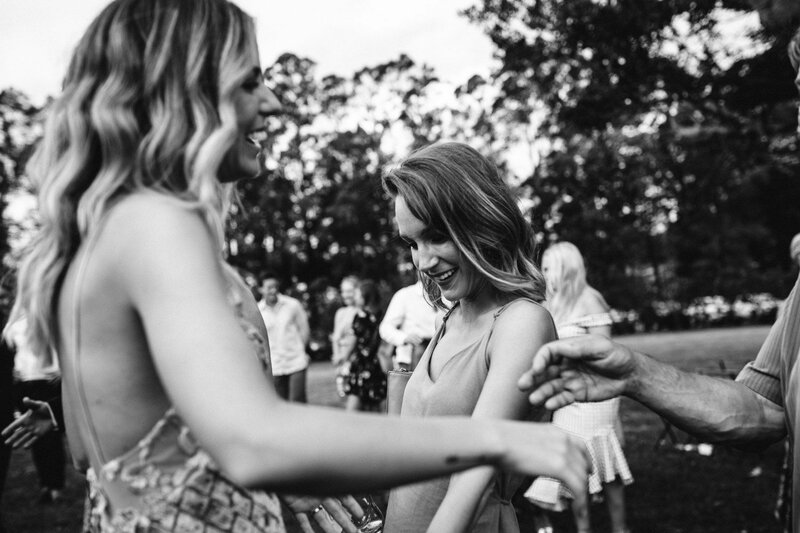 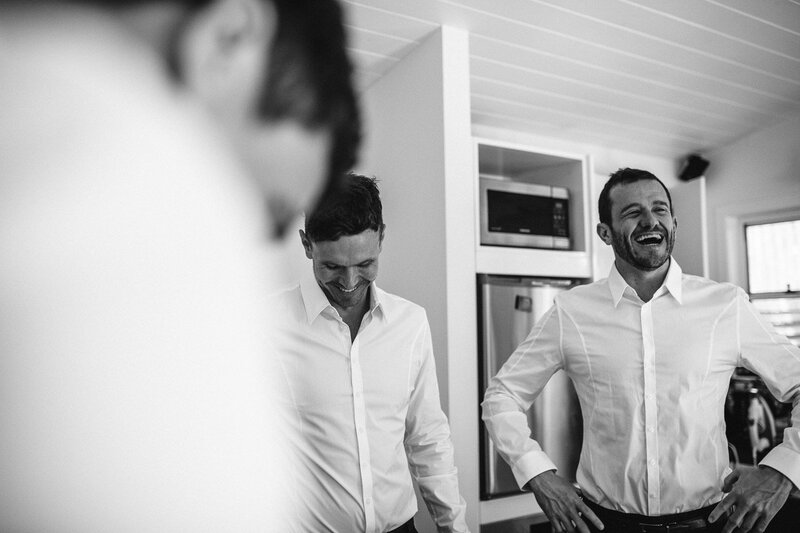 I then took the bridal party to explore the grounds of Cedia House for more laughs, drinks and candid shots. 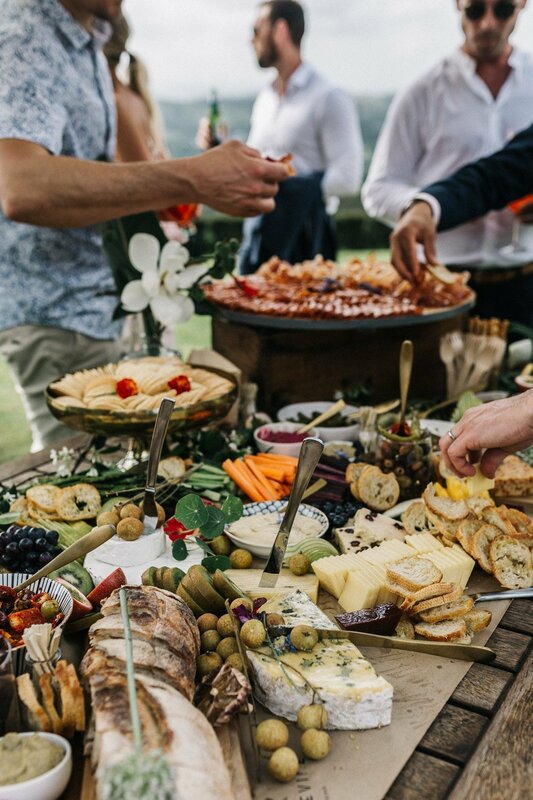 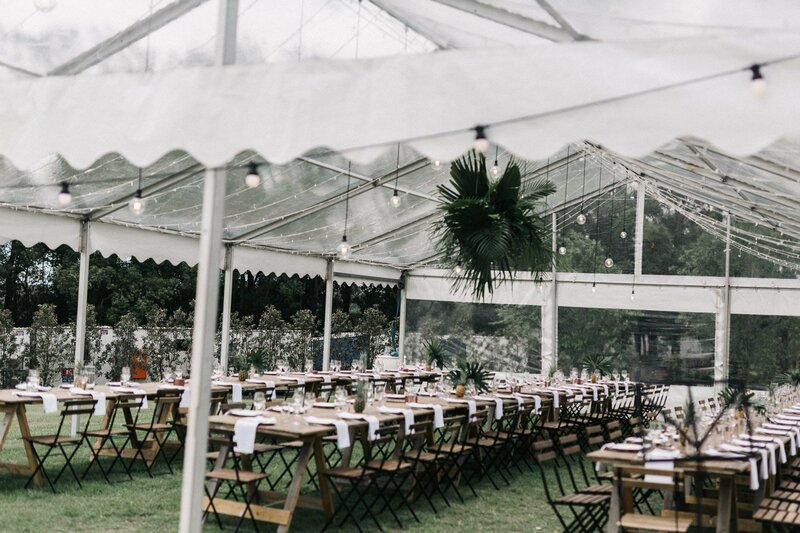 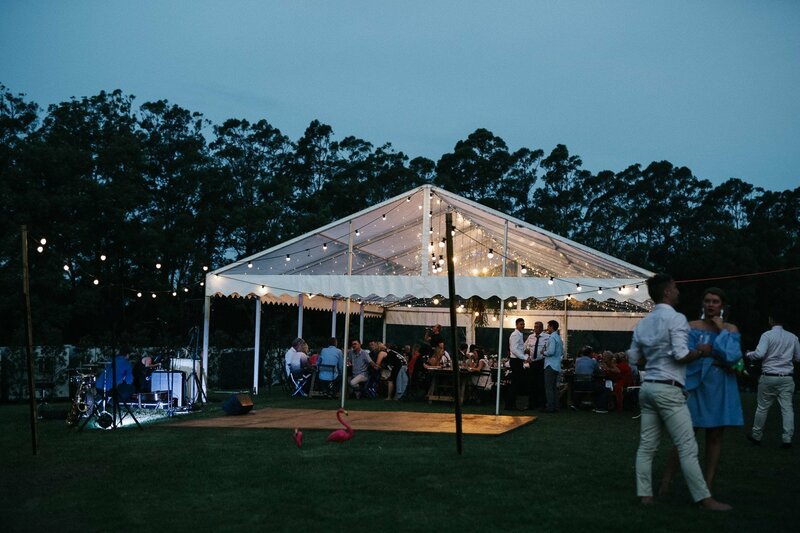 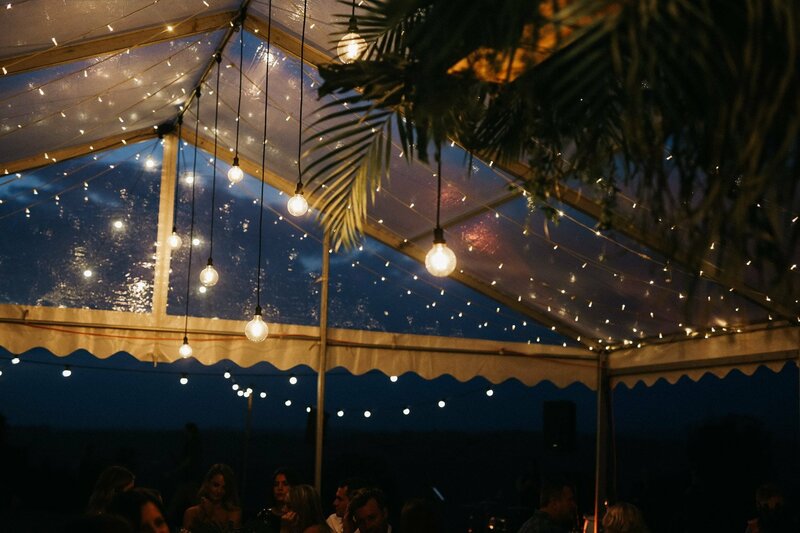 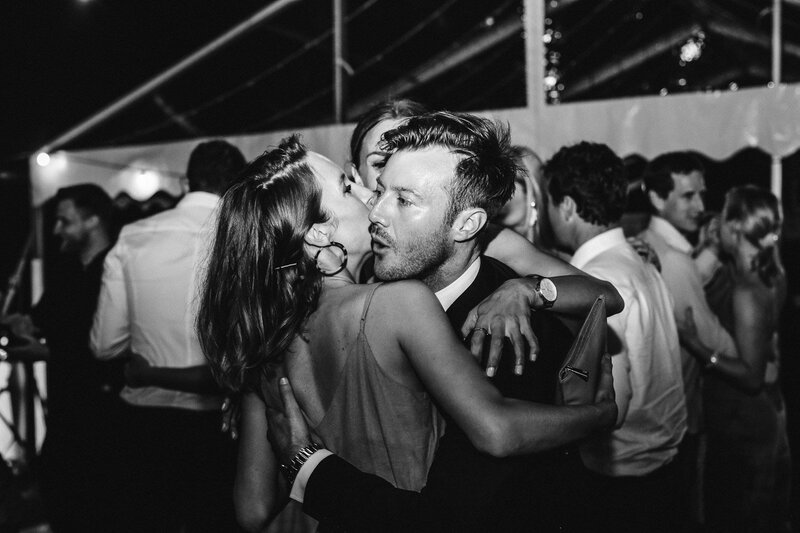 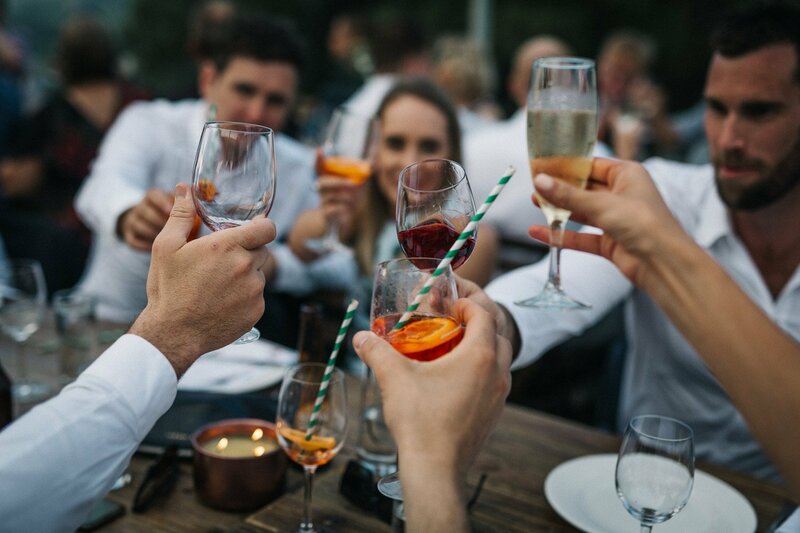 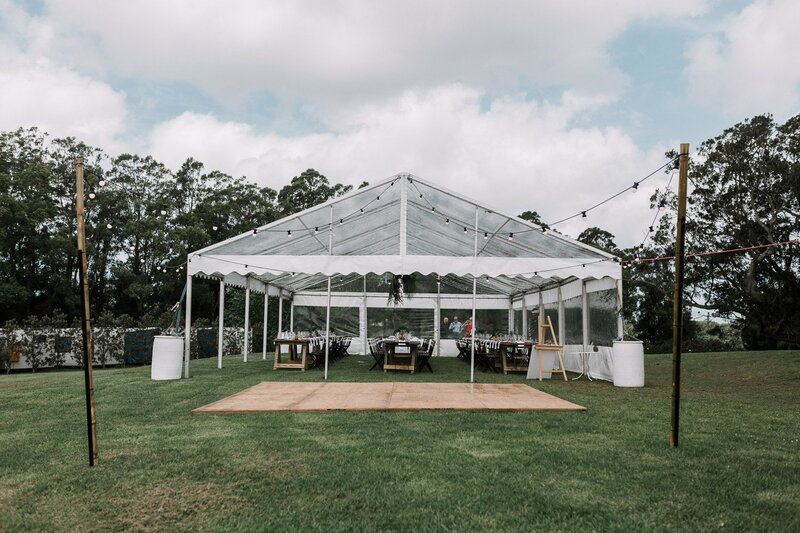 The reception was held in a lit up marquee where guests sipped on Aperol and enjoyed share plates and views. 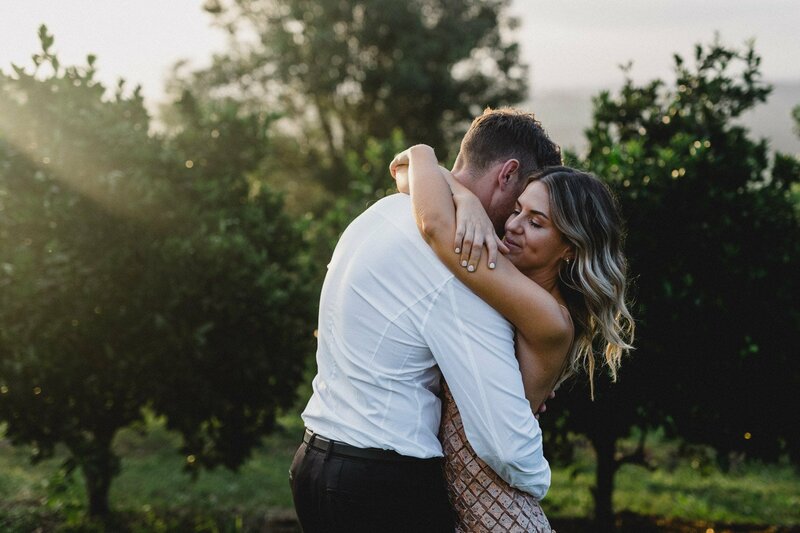 At sunset, we snuck out for a few extras photos to cap of the stunning day. 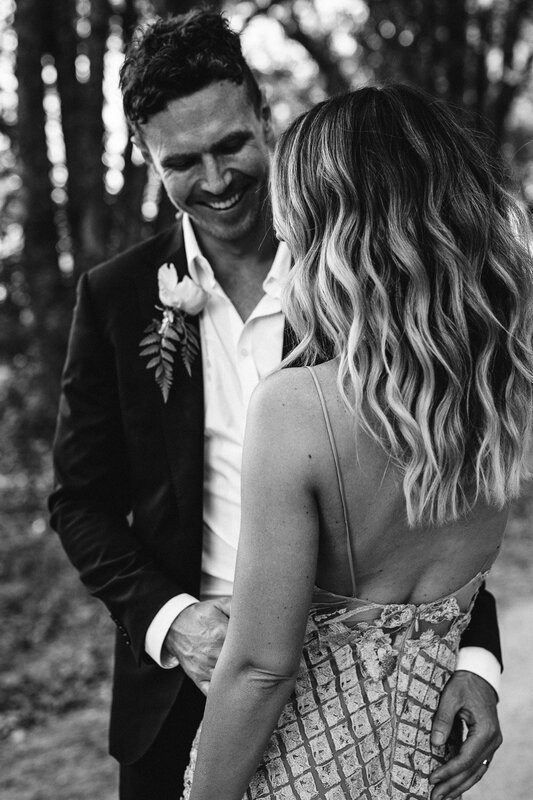 LOVED being a part of this day, Christy and Troy! 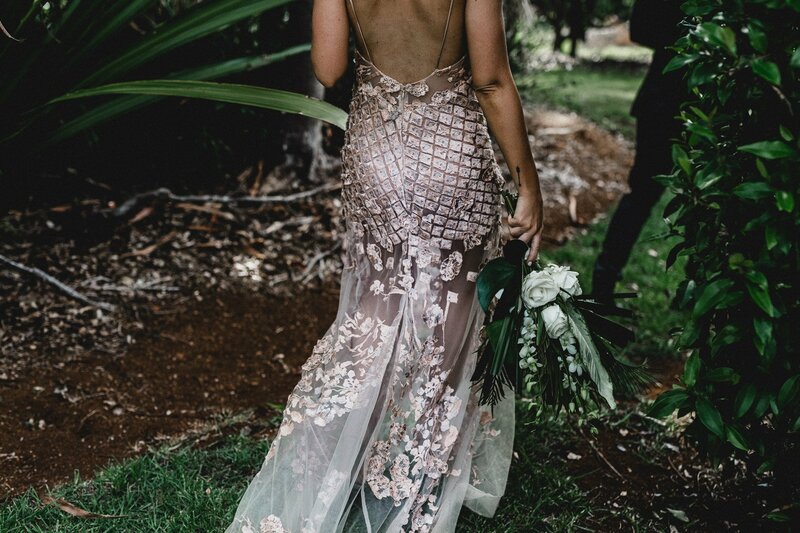 This one was featured in HELLO MAY, click here to see more!